Since this is important for the objectivity of any review, I want to mention that I am not making this review at the request of Fujifilm. This review is my genuine unbiased opinion, the opinion of a professional fine art photographer who wants to work with the best tools out there and who tried to get the best of this camera and is reporting the experience here. I have studied the camera thoroughly before purchasing it, as you do when you make an important investment in your gear and I own it for some time already. I didn’t have it only for the review, as in many cases with the reviews of medium format cameras you can find on the internet, but I worked with it intensively, so what I’m going to say will be something I practiced myself thoroughly. The second thing I want to mention is that this is going to be a long review. If you want to get only the general facts, you’re going to have them quite quickly, but if you really want to get to know this camera, then read on and you’re going to know everything at the end of this review. 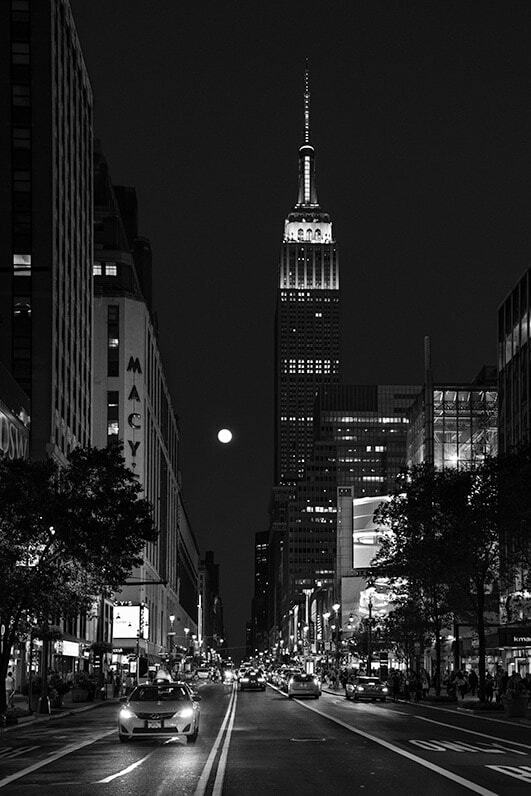 If you have read my best-selling book From Basics to Fine Art – Black and White Photography you know I’m very analytic with everything I’m writing and this is why the book is 424 pages. Just like with my video tutorial Long Exposure and Fine Art Photography – Creating (en)Visionography. The same stands with this review and you’re going to get all the facts and all the important info about this camera here. The third and last thing I want to mention before starting is that, since this review is very long, I will come back next week with a more extensive review addressing shooting long exposure with the Fujifilm GFX 50S to add more details to the long exposure section in this review. If you want to not miss the review and receive it the moment it is published, you can subscribe to my website and you will get the review in your inbox next week. I am going to continuously make updates to this review, adding new lenses and accessories that will be added to the system, my impressions as for working with the camera and other photographers’ impressions too, in order to keep this review the most complete Fujifilm FX 50S review. So be sure to subscribe and keep coming back to see what’s new. I have already published the sequel to this review, treating in detail shooting long exposure photography with medium format and the Fujifilm GFX 50S, with information that can be applied to any camera system. You can read the extensive GFX long exposure review here. Fujifilm has a quite long history in the realm of medium format cameras, both analog medium format cameras and digital, that may not be so well-known today. Fujifilm has also produced over the years lenses for other medium format cameras, like the ones for Hasselblad, and the first Hasselblad has been produced in collaboration with Fujifilm. Both brands commercialized back then essentially the same camera with different commercial names. Fujifilm later focused on developing the mirrorless system and, before Sony came up with its very successful full frame mirrorless cameras, Fujifilm X series mirrorless cameras were the most advanced mirrorless on the market. So it is not a surprise that Fujifilm came up with the GFX 50S now, and they created a quite revolutionary mirrorless medium format camera, capable to lead in its category. I myself own and sporadically still work with a Fujica AX1, a vintage film camera produced in the 1970s, which is part of the classic X series by Fujifilm. So in a way, I could say that I transited from the old classic Fujifilm X series to the new high-end Fujifilm G mount series, with the GFX as flagship. For years I’ve been working, and still work, with Canon and Nikon cameras, also with the Fujica film camera mentioned above, and I cannot say I have been attached to one specific brand in the past. What I ask from my cameras is to give me the highest quality and to be the friendliest and most practical for the kind of photography I’m making. The brand is not so important, as long as it meets my professional needs, and this is why I have worked with different brands in the past. 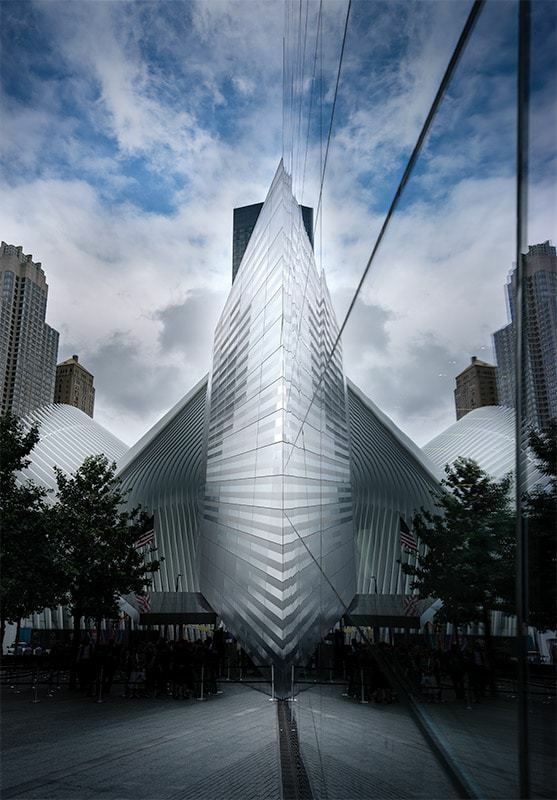 As a professional fine art photographer specialized in architecture, I need the highest quality and the most amount of detail I can get from a camera, so I can create large size gallery prints that can show accurate detail and extended tonal coverage, as well as digital files and prints suited for the most demanding clients or uses. At the same time I need the camera to be flexible enough and portable enough so I can shoot with it out in the field, where most of my subjects are when I teach workshops or shoot assignments around the world, without needing an elaborate setup or the help of assistants in order to get the best from the camera. For me, flexibility is key because it helps me plan my work effectively and it also boosts my creativity, and I need it as much as I need the highest quality. This is one of the reasons I have decided to invest in the new Fujifilm GFX 50S system. 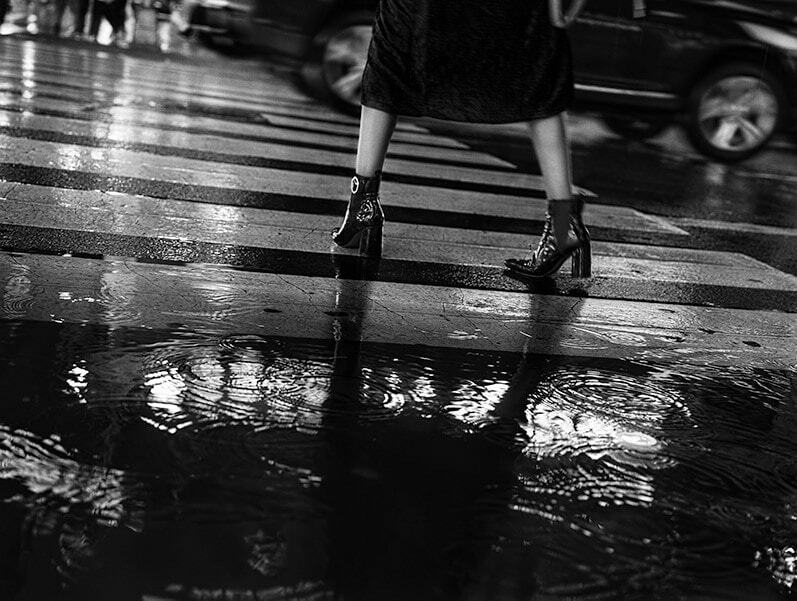 Because it gives me the highest quality I can get from a digital camera, together with the portability that allows me to shoot even street photography, which can be a very fast-paced style of photography, without feeling that I am making an effort or I am missing opportunities. Medium format cameras are usually quite large and sometimes cumbersome to work with in the field and this is why they are traditionally considered as cameras for shooting in the studio or if you shoot outside, it would request specific preparation and help to get the best results. While you may get the highest quality from a traditional medium format camera, the size and complexity of this system is something that limits the photographer to shooting only certain styles of photography, and this is why I hesitated so far to invest in a medium format system. Of course, the extremely high price of a high-end medium format camera, that can reach even more than $50,000 was a serious aspect, since I don’t intend to rob a bank anytime soon, but even if I was, I would hesitate to shoot in the street with a bulky traditional medium format. So, mirrorless medium format came as a perfect match for me. I used to joke when the first mirrorless cameras appeared on the market, that I’m going to switch to mirrorless when they make a mirrorless medium format camera. At that moment, a few years ago, this was a joke since there was no medium format mirrorless in sight or the possibility for one to be made. Little did I know that so soon in the future there will be not one but 2 high-quality mirrorless medium format cameras, one of them being the Fujifilm GFX 50S and the other one the Hasselblad X1D 50C, both of them great cameras, and some say that the Fujifilm GFX 50S is the best of them. Let’s see in this review if indeed the Fujifilm GFX 50S is the best mirrorless medium format camera and maybe soon I will be able to make a comparison between the FX and the Hasselblad. I’m saying this because I have the honor to be one of the 10 finalists in the Hasselblad Master Awards 2018, with my architecture photography, and if I win the first prize (fingers crossed!! ), this would come with a Hasselblad X1D 50C camera as a prize. Medium format cameras are in the mind of most photographers a complicated system aimed to very specific high-end photography and this was true in the past. The transition from the film medium format to the digital medium format cameras was not so fast like in the case of the DSLR system, because of the complexity of the medium format system, the size of its components and the fact that it was difficult to match the digital back to the body of the camera. This resulted in medium format cameras traditionally being very high-priced with some of them costing even more than $40-50,000 the body alone. However slowly but steadily the medium format system has improved so much that we are able today to shoot with mirrorless medium format cameras like the Fujifilm GFX 50S, the size of which is a fraction of the size of a traditional medium format camera, and the price likewise. So, no need to rob a bank anymore. And this happens without making any compromise in quality. This is truly a revolution in photography and in my opinion, it is a benchmark that will change the way we do photography in the future. Medium format is mostly about quality. Not necessarily about sensor size in terms of resolution, but about the fact that a larger sensor size gives you more quality. Just like in the case of the medium format film cameras, the larger sensor corresponds to the larger film that was used in the medium format analog cameras. In the case of the film, the larger size of the film allowed for bigger enlargements meaning bigger prints that would have better quality compared to the 35mm film. Likewise, in the case of the digital medium format cameras, the sensor of a medium format camera is substantially larger than a full frame camera sensor and implied much larger than a cropped APS C sensor. This allows the sensor to have not only larger resolution, but also larger pixels that can pack in much more light information, which will result in better quality and more detail. Besides delivering much more quality than the smaller size sensors, the medium format cameras are also known for the specific “medium format look” that the images created with these cameras show. It is not easy to describe this medium format look but if you see it you understand it. It is about detail, depth and quality, it is about a separation between objects that is created by gradations of light and color, which is not so easy to be achieved by smaller sensors. The Fujifilm GFX 50S is a 51.4 megapixel camera, featuring a 43.8×32.9mm CMOS medium format sensor with a Bayer filter array and a 4:3 aspect ratio. While you can also find 100 megapixel sensors in for instance medium format Phase One cameras or Hasselblad cameras, the 51.4 megapixels of the Fujifilm GFX 50S sensor is more than enough to create extreme quality, and what’s more, it offers all the special features of the medium format cameras, the most important in my opinion being the extended 14 stops dynamic range, that can cover everything from deep shadows to bright highlights with no loss in detail and information. The dynamic range is for me the most important thing a medium camera can offer, even more important than the pixel count, since that can be achieved by stitching multiple images in Photoshop, a technique I have been practicing for quite a while. So, if you can create a large image even when using a DSLR camera, you can only cover this extended dynamic range and get the special medium format look if you use a medium format camera. Now let’s see a quick overview of the main features of this camera. Now a few more words about some of the features I find interesting to elaborate on. As in any professional camera that respects itself, the GFX has 2 card slots and the good thing, in my opinion, is that both cards are SD (supporting UHS-II cards) which makes it easier to read them directly on a laptop or a computer, without the need of a card reader. Those who are used to work with X series Fujifilm cameras are going to be very comfortable with the GFX from the first moment. But even those who haven’t worked with this system before will be able to pick it up and work with it very quickly. The weather sealing is very good and I can say I have used the camera to shoot in the rain and I didn’t have any problem with it. 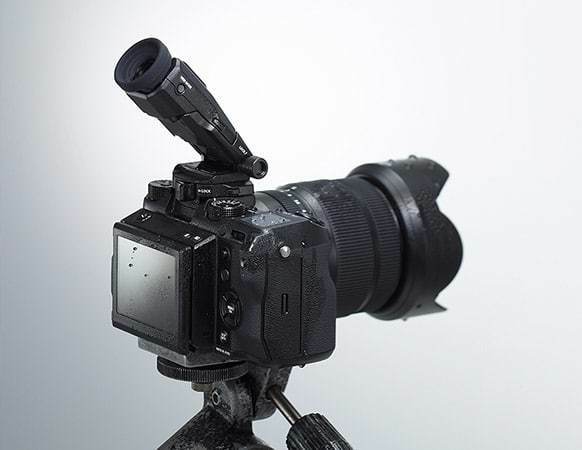 Of course, you want to cover the camera whenever you can with a rain cover, especially when the rain is heavier, but for normal rain conditions, when you can walk around and shoot, and don’t need to get into a shelter yourself, the camera will behave quite well. This is a feature I wasn’t aware how useful it is until I actually worked with it, but I find it extremely helpful, especially when working with manual focus lenses and even more when using my non-Fujifilm lenses with adapters, in which case the autofocus doesn’t work since the camera isn’t electronically connected to the lens, in which cases focus peaking is going to be your best friend for accurate focusing. The screen and the lettering on it are big enough to be able to see the settings without needing to go look too closely and it is also backlit for the cases you use the camera in darker conditions. A plus is that the indicators are customizable so you are able to choose the functions you need most. I find this one of the best features in this camera, which I haven’t seen on any other camera before, and I also like it from the design point of view, since the text is white on a black background (or black on white) which makes reading easier and blends with the general design. The GFX has a focal plane shutter instead of a leaf shutter that you can find on some other cameras. The difference between them is that the focal plane shutter is built into the camera allowing for higher shutter speeds while the leaf shutter is built into the lens allowing for higher sync speed for flash. The focal plane shutter also allows for third-party lenses to be used with this camera by means of an adapter. Probably Fujifilm opted for the focal plane shutter so they can increase the highest shutter speed of the camera, which is for the mechanical shutter 1/4000 of a second (or 1/16000 if you use the electronic shutter), and also so the camera can be compatible with other lenses via adapters, and not only the Fujinon lenses, which is not possible with other medium format cameras. This means, though, that the flash sync speed is only 1/125 of a second, lower than what you can find in advanced DSLRs for instance or other traditional medium format cameras. For shooting in the studio this wouldn’t be a problem but for shooting outside wide open it may require the use of neutral density filters to keep the shutter speed low enough to synchronize with the flash. From what I’ve seen from the reactions of the photo community, the flash sync speed has steered quite a bit of discussion but I think that this issue can be easily taken care of with the use of neutral density filters. Fujifilm’s answer to this concern was that they can create new lenses with leaf shutter Incorporated which will allow high-speed sync with the flash. For me, this isn’t an issue at all but I am mentioning it so you know everything about this camera and how to find workarounds if you need them. Another workaround is, if you own Hasselblad lenses, which work with leaf shutter, to use the adapter Fuji has for these lenses (Fuji is the designer of the Hasselblad lenses so it was easy for them to make an adapter), the Fujifilm H Mount Adapter G for Hasselblad , and get the high-speed sync you need. Approximately 3 fps – while this is not as high as some DSLRs, the medium format cameras are not made for fast shooting and this is common for all of them. The mechanical shutter is the classical one everyone knows, that opens its leaves to take a photo. The electronic shutter means that actually the image is created by the light scanning the sensor in a certain amount of time and not by a simple opening of the shutter. This allows for higher shutter speeds but it can also create the rolling shutter effect where fast-moving objects are distorted as they move through the frame, so it is something to keep in mind to decide what kind of shutter you’re going to use. 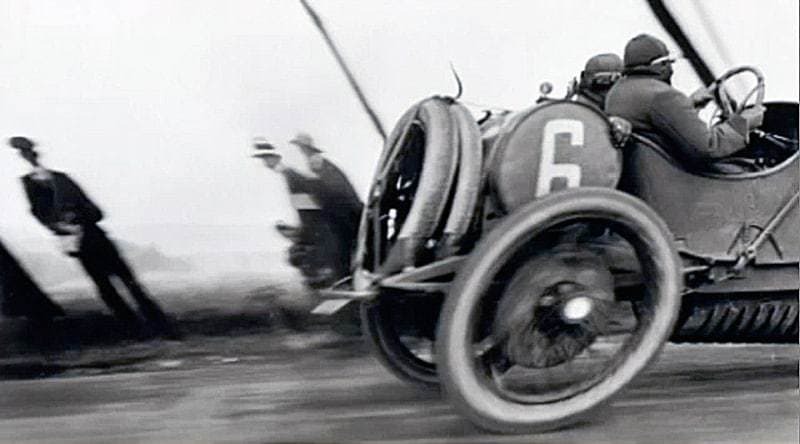 Not necessarily related but speaking about rolling shutter, I was always amazed by this effect and I think the most well-known classical example of it is Jacques Henri Lartigue’s Grand Prix photograph from 1912. Have a look at the shape of the wheel and how it was imprinted on the film it and you will understand what rolling shutter means. 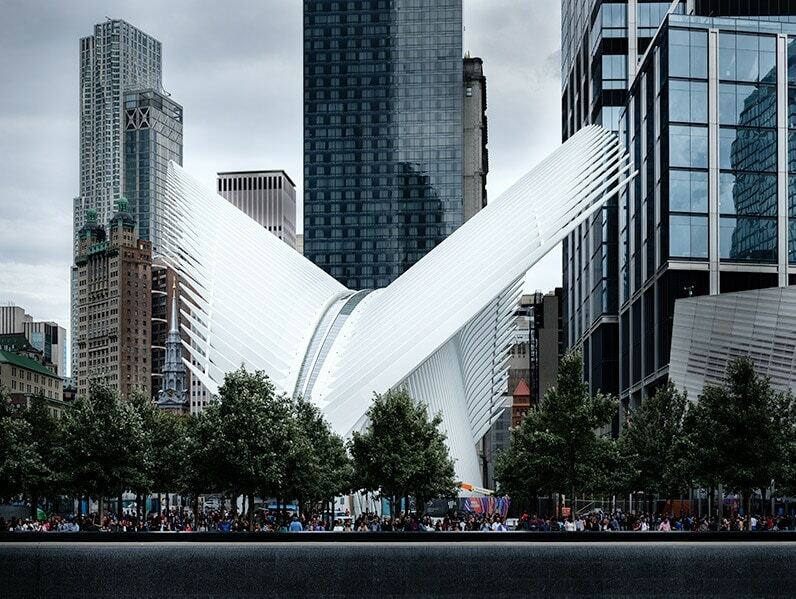 Isn’t this an amazing image? I have picked up the Fujifilm GFX 50S and started shooting with it in the field hours after I picked it up from the store because I didn’t have the luxury of spending some time practicing with it beforehand. 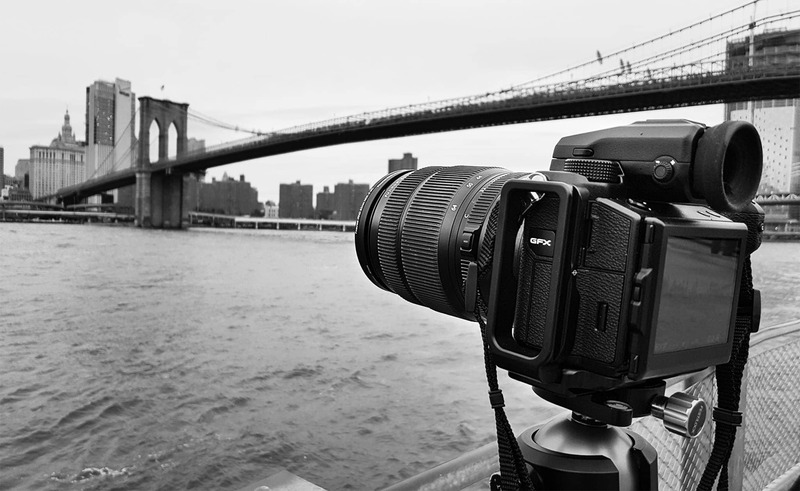 I was conducting a workshop in New York when I first shot with it and I had to adapt to it without even a full day of studying it. I was quite stressed out about this, since it was a completely new system for me, both the brand, coming from shooting mainly with a Canon 5DMKIII camera, and the fact that I was transiting from a DSLR to medium format, but the fact is that I had almost no problem shooting with the GFX right after I picked it up. This is how easy to use it is and how intuitive and clear the menu and the settings are. 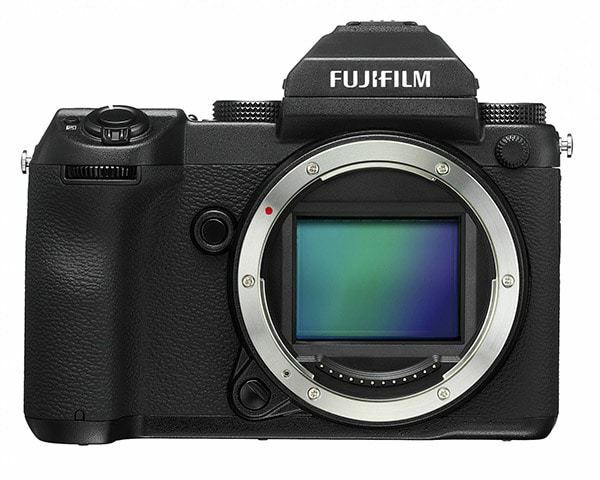 The Fujifilm GFX 50S has a magnesium alloy body, weighing around 920 grams and measures 147.5mm (W) x 94.2mm (H) x 91.4mm (D). It is less than 100 grams heavier and a couple of centimeters deeper than the Hasselblad X1D-50c camera, which uses the same sensor. It is weather sealed and dust resistant and it can cope with temperatures up to -10°C. Its design is on the same line and an evolution of the Fujifilm X-T2 so it will feel familiar to those having used the X T2 before. Not only as far as design but also as functions and menu structure. The build quality of the GFX 50S is really great and the feel you have when you hold it in your hands is of high quality and great ergonomics. The camera turns on almost instantly without any lag and you also won’t notice any lag when reviewing the image you shot. This makes it quicker than other medium format cameras, thus fit for stress-free faster-paced photography. You will find a deep grip on the GFX, which I like and is important for a camera that is not exactly light since this can also allow for a firmer hold which means easier handling. Overall the camera feels extremely solid but at the same time lightweight and flexible. The buttons and functions are easy to reach and I cannot say I have big hands, on the contrary, but the camera feels great in my hands and I can understand that it is fit for a large variety of hand sizes. Maybe if you have a very small hand you will need some more time until you get used to it, or if you have large hands or maybe wear gloves you may need to be more careful, but otherwise, it is very easy to use and very intuitive. Most of the buttons are very easy to reach and use and they react very smoothly and accurately to the input. What I like is that the shutter speed and ISO main dials can be locked so they don’t turn accidentally, and you can also set the shutter speed and the ISO by using the front or rear dial, just like in the case of a DSLR. This is very useful if you switch from DSLR to medium format and in my opinion quicker than working with the upper dials. There are a few buttons that I would like in a slightly different position, more easily accessible, like the bottom for switching from the EVF to the LCD screen that is placed on the lateral of the viewfinder, the image review button and the delete button, placed next to each other on the top of the camera next to the viewfinder, and not on the back of the camera as I was used to from my Canon 5DMKIII, and in a smaller degree because I’m not using it very often, the drive button that also activates the video, that is placed on the top of the camera in front of the shutter speed dial. A dedicated video button would be a good idea for those who shoot video more extensively. Also, there is no dedicated dial for exposure compensation as you can find in the Fujifilm X T2, but since I almost never use this function, I don’t feel it’s missing. Instead, you can access exposure compensation by clicking on a dedicated button on the top of the camera and rotating the rear dial. Not as much of an issue in my opinion if you get used to it. Something I wasn’t very sure about in the beginning, especially before starting to work with the camera, was the design that was a little bit austere and edgy for my taste, considering the design I was used to when thinking about a medium format camera. Fuji prioritized functionality over design with this camera, comparing to for instance Hasselblad X1D-50C which has a more stylish and appealing design. But since the functionality is the most important aspect of a camera, next to quality, as I was working with the camera, the design started to make more and more sense and now I can say that I’ve gotten used to it and I’m starting to appreciate its Japanese minimalism. After some time of using it, the camera feels so natural in my hand that I truly feel it as an extension of my hand, my eye and vision. Do you know how it is when you hold in your hands an object that fits perfectly and you don’t want to let it go? This is pretty much how I feel about this camera after working with it for some time. It becomes truly yours and you start to get used to expressing yourself with it. I know it is only a piece of gear, but it is a piece of gear that brings our vision to life, and because of that it is a very important object in the life of a photographer. I can say I have a special connection with all my cameras and, after a while, I consider them part of myself. This happened very quickly with the GFX. When I started working with the Fujifilm GFX it was my first time shooting seriously with a medium format camera, except for some random shots in the past. It was also the first time shooting with a modern Fuji camera (my old vintage Fujica is quite different internally comparing to the modern Fujifilm cameras). So I had to speed up the learning curve, but the transition was very smooth, especially that the camera has some functions that can be used just like in the case of a DSLR, making it easier to use for DSLR shooters. For instance, you can either use the lens ring to set up the aperture, as you would do with a classic medium format camera, or you can use the C function on the lens to switch to setting the aperture with the command dials, just like in the case of a DSLR. Another advantage of using the camera like this is, in my opinion, the fact that, when you use the aperture ring it is much easier to mistakenly rotate it without intending to do so (I’ve done it so I know), and it is also much quicker to use the dial. So especially for the case when you want to shoot faster, the command dial is much more useful to control the aperture. The same happens with setting the shutter speed and the ISO, which can be set by either using the front or rear command dials, just like in the case of a DSLR, or use the classic analog way of shooting, where you use the dedicated shutter speed or ISO dial on the top of the camera. Fujifilm Fujinon lenses have been well known for their quality for a long time, and something that is not so well known, Fuji is making lenses not only for their own system but also produces most of the Hasselblad lenses. This means Fujifilm is a serious player in the lens field. Since the GFX system is a new camera system, the lens range is still expanding and at this moment there are 6 lenses you can choose from. Fujifilm promised new lenses soon, and from what I’ve seen they are quite quick in doing it, since the camera has been launched with 3 lenses a few months ago and now there are already 3 more available and they are working on releasing more lenses in the future. But for now, this is the range of Fujinon lenses you can find for the Fujifilm GFX 50S camera. 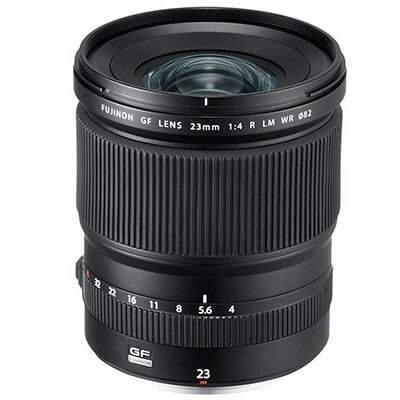 FUJINON GF32-64mm F4 R LM WR (equivalent to 25-51mm in the 35mm format) – This is a zoom lens and it is more versatile than the prime lenses following, while giving you the same high image quality. I own this lens and I’m more than happy with the quality and ergonomics. 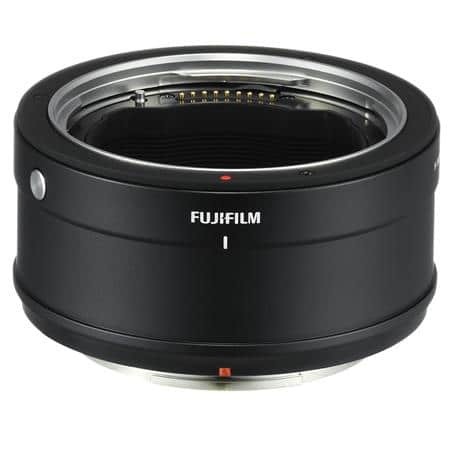 According to Fujifilm, the GFX lenses are built at a quality that can match a 100-megapixel camera which is supposed to be built in the future. To understand the relationship between the full frame 35mm and the GFX medium format focal length, we have to keep in mind that relative to the GFX lenses, the full-frame 35mm have a crop factor of 0,79, which means that, in order to find the full-frame 35mm equivalent of the GFX lenses one needs to make the following calculation. I have worked for quite some time with the FUJINON GF32-64mmF4 R LM WR zoom lens which is the equivalent to 25-51mm in the 35mm format, and I can say I am very happy with the way this lens works, the sharpness and clarity of the images shot with it. While it doesn’t cover a large zoom range like my all around 24-104 mm Canon lens that was my general photography lens, and this may seem like a limitation, in the beginning, after a while you get used to this zoom range and you realize that there aren’t so many images you cannot cover when working with this lens. The lens weighs 875 grams (1.93 pounds) and is similar in size and weight to the 24-70mm f/2.8 Canon and Nikon lenses. A good feature of the lens is, besides the manual aperture ring is the C command that allows the aperture to be controlled by using the command dials on the camera body. I personally prefer using the command dial since I am used to it from my Canon and Nikon cameras. The lens is a versatile lens very good for landscape and architecture photography since its full-frame equivalent field of view is roughly 25-50mm. When stopped down to f/5.6 and smaller, it gives great sharpness all over the image and on the edges too especially at shorter focal lengths. It has practically no barrel distortion at the wide end and chromatic aberration is almost inexistent. Also, the vignette is minimal. 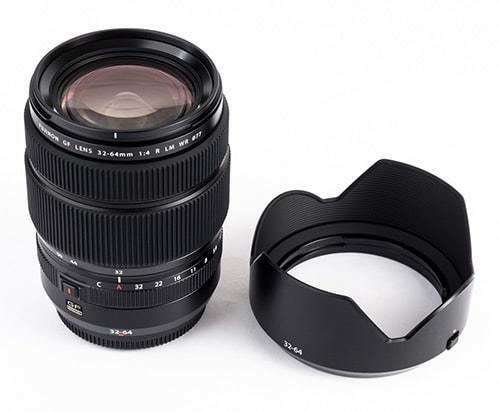 The next lens I intend to buy will be the wide-angle GF23mmF4 R LM WR lens which is the equivalent of the 18 mm for the 35mm format, a very good focal length for architecture and landscape photography. 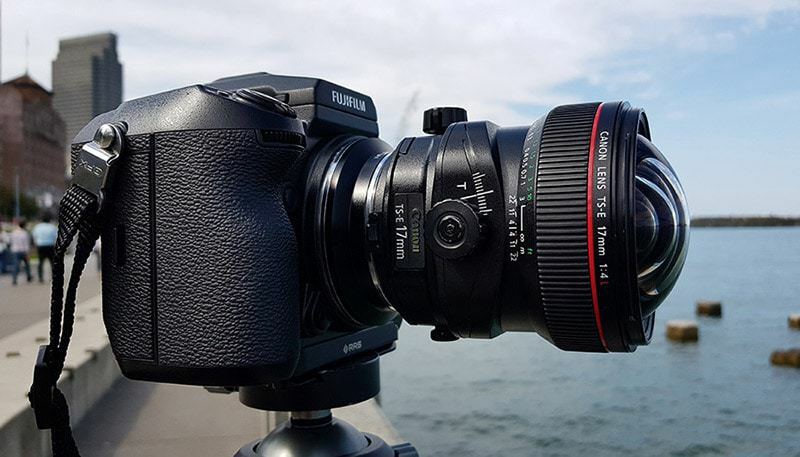 The FUJINON GF23mm F4 R LM WR is my main wide-angle lens for architecture and landscape, and one of the best of the new G mount line. With a focal length of 23mm (18mm in 35mm format equivalent), this super wide-angle lens is great for shooting landscapes and architectural photography. With a 12 groups and 15 elements construction using two aspherical lenses, one super ED lens, and three ED lenses, this lens suppresses distortion despite being a super wide-angle lens with a 99.9° angle of view. The lens weighs 845 grams and is similar in weight (a bit lighter) with the zoom FUJINON GF32-64 mm and quite smaller as dimensions. I highly recommend it for landscape and architecture photographers, and it is interesting also for shooting street, if you like a wide angle lens. Coming up very soon, late May 2018. It is the lens I was waiting for, for quite some time. 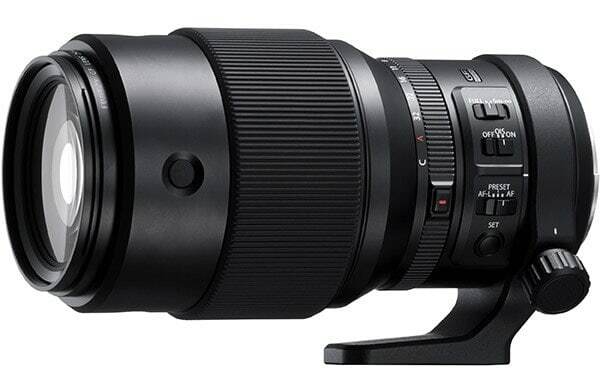 I would still prefer a zoom lens in the range of the Canon 70-200 mm f/2.8 that I love for shooting details and for its versatility, but this lens is going to be even more amazing as for quality, since it will deliver medium format detail. It is also the first lens with image stabilization for the GFX, having a five stop-effective image stabilization system. It also features a linear autofocus motor that is both quick and quiet, and an internal focusing mechanism that limits the overall lens length during use as well as maintains consistent image quality throughout the focusing range. The lens is dust-, freeze-, and weather-resistant. As soon as I get it I’ll get back with my impressions, so check back in a few weeks. One more thing worth mentioning is that the camera will get a new firmware update end May to make it compatible with the new 250 mm lens and adding some other features too. Fujifilm is known for its substantial firmware updates so be sure you keep your camera and lenses up to date to have to have most features for them. 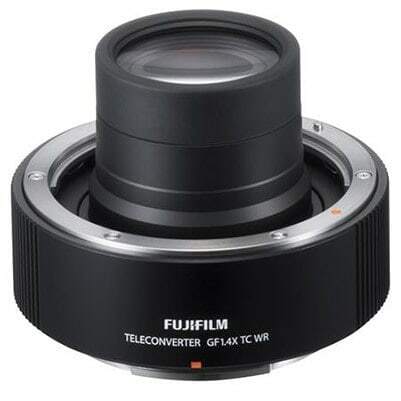 The Fujifilm FX 50 s FUJINON GF 1.4X TC WR Teleconverter for FUJINON GF 250 MM F4 R LM OIS WR is designed for use with the new GF250mmF4 R LM OIS WR giving approximately 277mm in 35mm format equivalent, without compromising image quality. One thing I would have liked to see in these lenses is image stabilization. The only lens that has image stability station is the 120 mm Macro lens. The fact that you have no image stabilization limits you somehow in the way you shoot, especially when you want to shoot in low light or while on the move. To compensate for the lack of image stabilization in the lens you need a faster shutter speed which means higher ISO when you shoot in low light, thus potentially decrease in image quality. This doesn’t stand only with the Fujifilm lenses but generally with the medium format lenses since most of them do not have image stabilization, but it would be very useful feature to have in all these lenses, considering that the medium format system has become very versatile and can be much easier used for faster-paced photography, thanks to the smaller size of the mirrorless medium format cameras. Hopefully, this is something to come in the near future. If you have other glass that you want to use with the GFX, like your Cannon or Nikon lenses, you don’t need to worry you will lose that because you will be able to use your full-frame 35mm lenses on the GFX medium format camera with a few caveats. While theoretically the lenses made for a full frame body will not give you the quality of the medium format lens, from my experience using my Canon lenses attached to the GFX body, the quality you get is outstanding. You can mount your third-party lenses on the GFX by using lens adapters. You can either use manual or electronic adapters, but you have to know that there are differences between them and they cannot give you full control over the lens. The adapters will not replace all the functions you can get from the lens communicating directly and electronically with the camera. 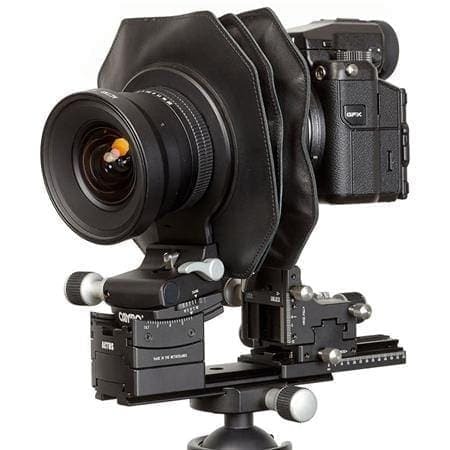 But at least with the GFX you can mount your Nikon, Canon and other lenses and work with them, while you cannot do that with other medium format cameras, like the Hasselblad or Phase One, because of the way they are designed. I consider this a huge advantage and one of the things that convinced me to buy this camera. You can find other adapters for different other lenses here like the ones for Mamiya, Pentax, Leica, Pentacon, Minolta and other lenses. The Venus Laowa Magic Format Converter (MFC) for Canon lenses or for Nikon lenses has a very interesting concept. It can enlarge the image circle of full frame lenses for using on Fujifilm GFX-50S. It takes advantage of the short flange distance of mirrorless cameras and incorporates an optics system into the converter that boosts up the size of the 35mm format (full frame) image circle and have it fitted with the larger GFX sensor. In this way you can remove the vignetting that appears when you use full-frame lenses on the medium format. This converter is particularly useful for ultra-wide angle lenses since vignetting tends to be stronger when we adapt an ultra-wide angle full frame lens to medium format. The only disadvantage of this converter is that it is a manual converter, so there is no auto focus, aperture control or EXIF data recorded in the images shot with this converter. 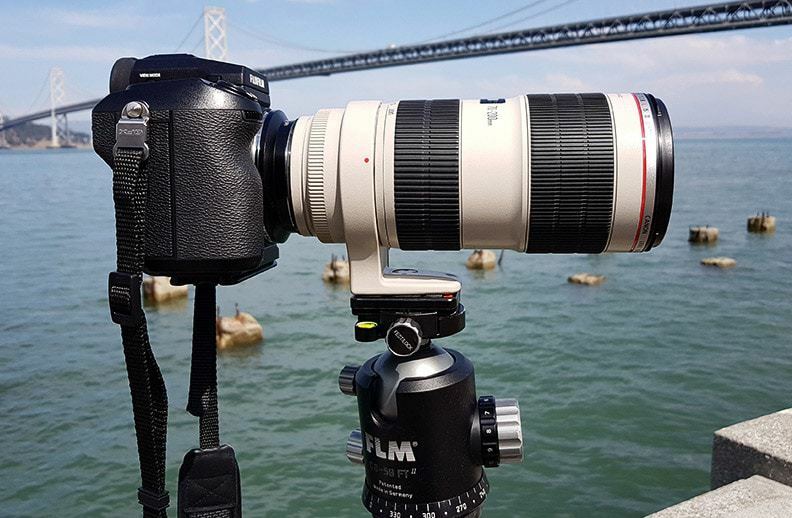 The main issue you are going to face when using manual lens adapters is that you are not going to be able to control the autofocus and aperture from the body of the camera and you will need to set the focus manually by using the focus ring. The default aperture will be the widest aperture of your lens, which means the depth of field will be as shallow as it is for the lens you use when it is wide open. In addition to this, you have to take into consideration that the depth of field is shallower in medium format cameras than in DSLRs because of their construction. This is one of the things that give the characteristic medium format look and is considered a quality, but you have to take it into consideration if you work with manual adapters where you cannot control the aperture. In some cases, a wide-open lens doesn’t give you enough depth of field especially for architecture and landscape photography where you need a deeper depth of field. If you are shooting from far away enough or shooting with wide angle lenses whose depth of field is deeper, it will not be an issue at all, but if you are close to your subject it will be difficult to get back to front sharpness if using the manual adapter, especially with longer lenses that have shallower depth of field by default. 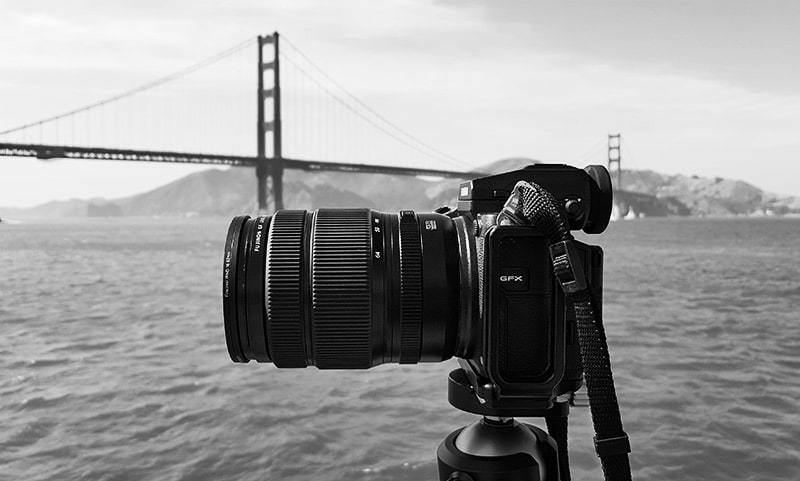 In those cases you will need to use an electronic adapter that can set the aperture for you, to get the best quality and depth of field in your image. For a better aperture control, you have the option to use an electronic lens adapter, like for instance the Cambo CA-GFX Canon EF-Mount & TS-E Lens to Fujifilm GFX which can control the aperture of the EF Canon lenses, and I suppose at some point a Nikon adapter will be available too. However autofocus and EXIF data can still not be transferred between the camera and the adapter, and this includes focus confirmation. I haven’t worked with this adapter yet, but Cambo is a reliable company that creates good products and from impressions of other photographers it seems a good adapter to use. seems better than the manual Fotodiox adapter I’m using at this moment since you can control the aperture with the adapter. However, this adapter is quite highly priced at this moment, around US$1200, which is quite a difference compared to manual adapters and even with the following electronic adapter which is what I am using at the moment. A less expensive option for an adapter that controls the aperture is the Kipon Electronic Aperture Adapter for Canon EF/EF-S to Fuji GFX . The adapter is only available for Canon lenses for the time being (no Nikon version for now) and controls the aperture of the Cann EF and EF-S lenses through the adapter. Just like the Cambo adapter, there is no option for auto-focus and the adapter doesn’t transmit the EXIF data to the files. Kipon provides firmware updates for the adapter so maybe auto-focus and EXIF data transfer can be added in the future. Techart Pro Canon EF Lens to Fujifilm GFX Autofocus Adapter (EF-GFX) is the adapter I am using at this moment and I am happy with it. There are things that can be improved, like the autofocus, which is why I tend to use manual focus especially that the Fujifilm FX 50S has the focus peak function and 100% for focusing, which are both extremely useful. The Tech Pro adapter is less expensive than the Cambo, costing US$500, however since it is shipped from China, where it is produced, you need to take into account the customs costs which can be quite high, and in the European Union, you will need to add the VAT too. I ended up paying almost 50% more with these costs, plus shipping from China, which in the end brings it much closer to the Cambo adapter price wise. The advantage of this adapter is that it has autofocus, it reads the EXIF data of the lens and it controls the aperture. However, you still have to consider the vignette for wide angle lenses and some glitches now and then, when you need to disconnect and reconnect it in order to read the aperture. This can be a delaying factor worth taking into consideration if you need to be quick. The good thing is that it is supported by firmware updates so hopefully the issues will be solved as we go. I’m going to make a more detailed review of this adapter during the next few weeks, so check back soon to find out more about it. If you have Hasselblad H mount lenses, you can use the Fujifilm H Mount Adapter G for Hasselblad to attach them to the GFX. For more specialized photography and higher versatility, you can also turn the GFX into a studio view camera by using the view camera adapter Cambo ACTUS-GFX View Camera Body with Fujifilm GFX Bayonet Mount and attaching to it a bellow camera system. Probably not everybody’s cup of tea but the possibility exists and this shows how versatile this mirrorless medium format camera is. Another issue full frame lenses may create is the vignette that can appear when you use them on a medium format body. Since the image circle of the lens is designed for a full frame body is smaller than the image circle of the medium format lens, when you use a full frame 35mm lens on a medium format body the corners of the image may be darkened. It depends on the focal length of the lens how intense the vignette will be, but keep in mind that the vignette will be more pronounced for wider angle lenses and less pronounced for longer lenses. For instance, this issue is more pronounced when I work with the Canon EF 17-40mm f/4L USM or the Canon EF 16-35mm f/4.0L IS USM but less pronounced when I work with the Canon EF 24-105mm f/4L IS II USM especially zoomed in a bit, or with the Canon EF 70-200mm f/2.8L IS II USM because it is a longer lens. This issue can be overcome by cropping in the image, however, this will mean losing some resolution in your final image and needing to compose having in mind the needed crop. It is not a deal breaker but it is something that you have to keep in mind because it can change the way you shoot. 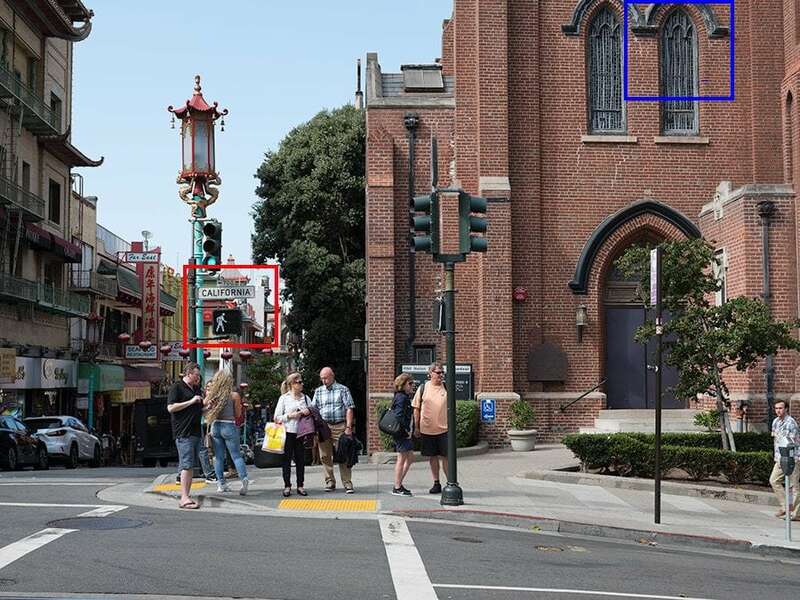 A workaround to this is to work with your tilt-shift lens on your medium format camera. 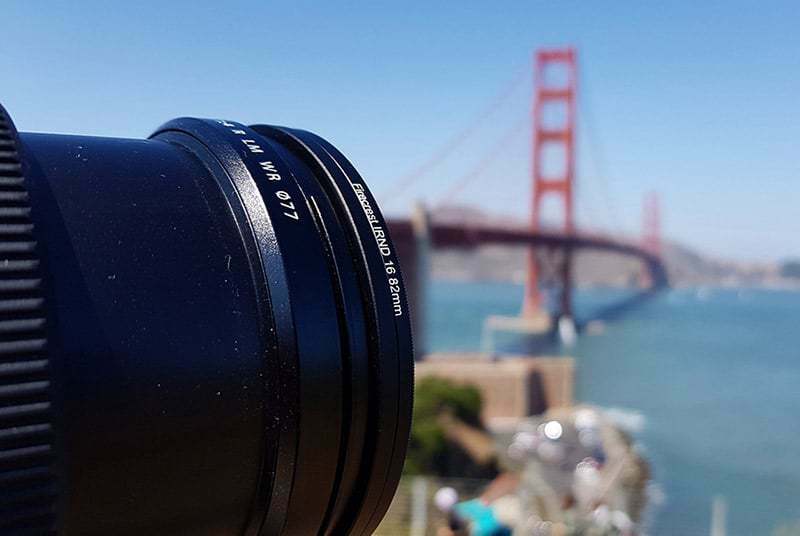 These lenses can be used without major vignette issues with the medium format camera are the tilt-shift lenses, like the Canon 17 mm TS-E f/4L or the Canon 24 mm TS-E f/3.5L II, whose image circle is larger than the regular lenses. This is one of the things that convinced me to invest in this camera, because I am working extensively with the tilt-shift lenses in my architecture photography, and I wanted to have the possibility to use them with this camera. I have worked with both these lenses on the medium format camera and I’ve had very good results. You will see them soon in my images shot with this system. There could be another workaround for getting vignette when you shoot with third-party lenses, when this Laowa Magic Format Converter (MFC) by Venus Optics will be released. The converter promises no vignette when shooting with Canon or Nikon lenses by correcting for the smaller image circle of these lenses when mounted on a GFX camera. So, fingers crossed that it will be released soon. As a conclusion, it is not going to be as easy to shoot with your full frame glass on the GFX, as it is with a native Fujifilm lens but the good thing is that you can still use your full frame lenses even on the medium format camera, especially your tilt-shift lenses, and Iknow there are quite a few of you who are interested in doing just that. It is worth mentioning that this only happens with the Fujifilm GFX, other medium format cameras do not have this option, which makes it even more affordable and flexible as a system. Being a mirrorless camera, there is no optical viewfinder in the Fujifilm GFX 50S, but an electronic detachable one. The viewfinder has 100% coverage and 0.85x magnification. There are 2 kinds of viewfinders you can use for the Fujifilm GFX 50S. One is the regular viewfinder that comes with the camera and the other one is a tilt viewfinder you can purchase separately. Both of them are detachable so you can also use the camera only with the LCD screen if you need it to be smaller. Especially when you shoot in bright light the LCD screen can become useless unless you apply a Hoodman loupe that covers it, keeping away the bright light. So if you want to shoot in different conditions and to be able to shoot in the middle of the day the viewfinder will be a useful accessory. 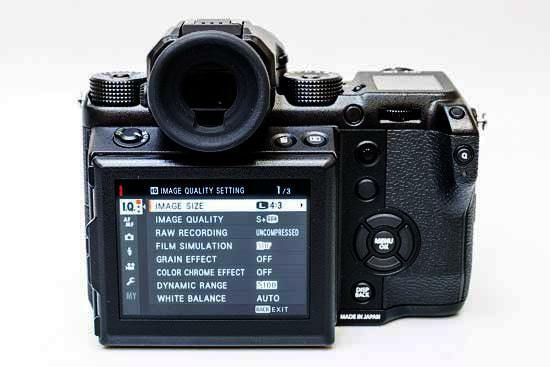 I personally prefer the viewfinder to the LCD screen any day, so I’m happy the GFX comes with a viewfinder as a default. In fact, the tilt viewfinder is a tilt adapter Fujifilm EVF-TL1 EVF Tilt Adapter for GFX 50S that sits between the camera and the regular viewfinder, so you don’t need to carry 2 same accessories, but you can just improve the regular viewfinder and be able to shoot from different angles, also by looking downwards to the viewfinder, the classic medium format shooting way. 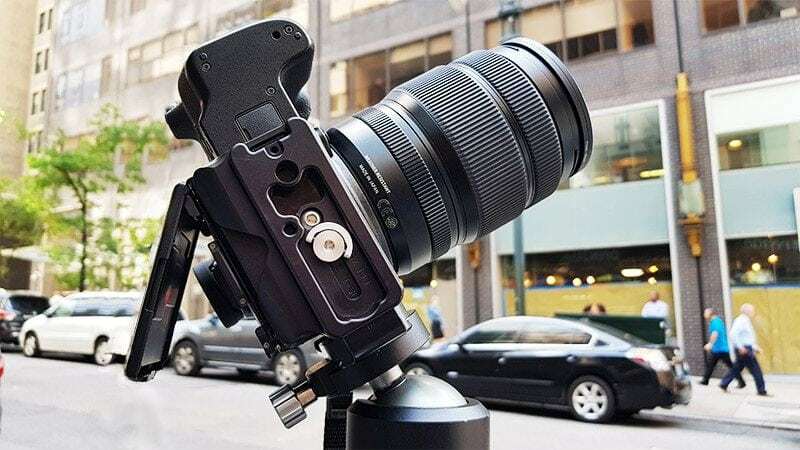 While the camera can become quite smaller if you remove the detachable viewfinder, it can become quite big when you attach the tilt viewfinder that exceeds quite a bit from the body of the camera. So it would be a good idea to remove it when you transport the camera to not risk damaging it or not being able to fit the camera in the bag. It is very easy to attach and detach the viewfinder so it shouldn’t be a problem and it is a better solution than risking to damage it, especially that it is not exactly a cheap piece of accessory and it will cost you more than US$500 to buy a new one. 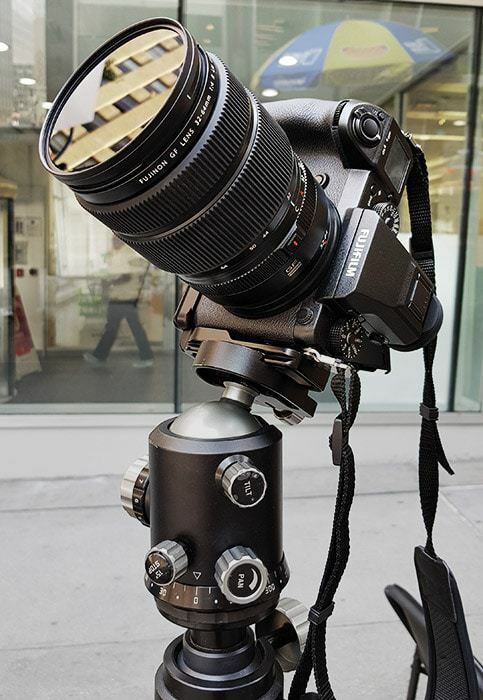 I am using both the viewfinder and the tilt adapter, and I can say that the tilt adapter helps quite a bit with handling your camera from different positions. I am using it every time I am shooting and it makes it easier to compose also when you shoot with a tripod, except for the more classical way o handheld shooting from the waist heiht or a lower point of view. Something you will probably notice is that the viewfinder has a slight lag when you open the camera and this is due to the fact that it is an electronic viewfinder so it has to switch on independently when you switch the camera on, which is not happening in the case of a DSLR. This can be something that you will need to get used to and maybe you will miss some shots because of the viewfinder lag, but you have to keep in mind that the medium format cameras are by default not as fast as a DSLR so this is not actually a selling feature of this camera. While most of the times it is not going to be an issue, I must say that it can be annoying at times especially if you compare it to what you expect from a DSLR. Maybe if you already work with a mirrorless camera you are used to it, but I’m still struggling at times. Hopefully, this will get better with firmware updates in the future. The GFX has a rear 2.36M-dot LCD display with 100% coverage, which has touchscreen controls. The display can tilt in 3 directions, up 90°, down 45° and to the right 60°, which is a really interesting feature. I wasn’t necessarily considering the tilt screen a feature until I practically worked with it in this camera. I can say that I was doing quite well without a tilt screen before, but I hadn’t realized that there are so many things that you can do, provided you have access to a tilt screen. So now I consider this a very good feature that allows me to play much more with the angle I shoot than what was happening before. It gives you much quicker access to lower or higher points of view that can be controlled much more effectively if you use a tilt screen. As a bonus, the screen tilts not only in one direction, but in both directions, so you can use it in both landscape format and in portrait format, which gives you even more options. The same stands for the touchscreen, which I didn’t consider I necessarily needed, but that now I am using intensively. With the touchscreen, you can quickly swipe through the photos you’ve taken, pinch to zoom and tap on the screen to change settings in the Q menu, or tap to set an autofocus area. I am finding the touch screen very useful especially for the easiness to zoom in with double-click to check the photos at 100% zoom. This is really invaluable for a medium format camera where the amount of detail is so high that even the smallest vibration or movement can blur the image and unless you zoom in at 100% you cannot see if the images sharp or not. I literally zoom in after shooting each image and check the sharpness. I recommend you to do the same because it will save you many shots you thought were sharp, but that in fact may have a very small amount of blur, maybe unnoticeable when you are zoomed out, but that is enough to ruin an image. Another very useful feature is that the live view you can see on the LCD screen will give you a live preview of your final image, so you can play with different effects, exposures and generally different settings while seeing the results directly on the screen and not needing to rely only on the measurements you make or on suppositions. The touchscreen LCD is a truly “live view” screen that you can interact with directly while you shoot. The camera comes with an NP-T125 Li-ion battery that will shoot according to Fujifilm around 400 frames before needing to be changed. I haven’t counted the frames I’ve shot per battery, and my shooting style also means shooting long exposures which are much more battery draining, but overall I think the battery life is very good, especially for a mirrorless camera. One thing that you will very quickly notice about the battery compartment is that it is not accessible from underneath the camera like you would be used to if you worked with a DSLR or some other camera, but it is accessible from the side of the camera so you will have to load the battery sideways. Some photographers love this feature since it is easier to load the battery from the side especially when you have the camera on the tripod, but in case you use an L plate to shoot on a tripod and you have it attached to the camera all the time as I do, this becomes a little complicated, because in order to change the battery you need to take off the L plate. Happily the L plate I use is in an RRS Really Right Stuff plate with the side element detachable so I can take only that element off when I change the battery, but I would still prefer to not need to take it off at all, as I do when I shoot with my Canon where the battery is underneath and on the opposite side of the L plate bracket. The good thing is that you will not need more than 2 batteries for a day of shooting, even if you shoot intensively, long exposures included, like I do. I’ve been out in the field the entire day and shooting for extended periods of time and it never happened to exhaust the second battery so far. So that’s good news and something I was afraid of when starting to work with a mirrorless camera, considering the stories about how fast the batteries drain with mirrorless systems. A little off-topic but useful for those traveling by plane with their cameras, is to keep in mind that recent regulation makes it necessary for you to take all your lithium batteries with you inside the cabin, in your carry-on luggage, and not leave it in the checked suitcases that go in the plane storage. 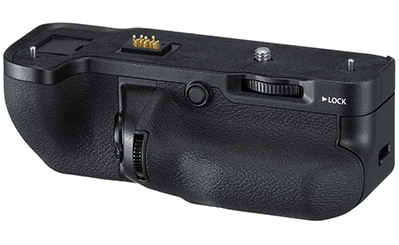 A plus for those who need it, I don’t necessarily need it but it can be useful for some styles of shooting, is the possibility to attach a battery grip to the GFX 50S. The VG-GFX1 vertical battery grip allows easier shooting in vertical orientation and you can add another battery to the grip, thus doubling the battery life. The GFX has a 117-point contrast detection AF system, that can be extended to 425 focus points (number unheard of in the medium format camera market). More than enough for anything you may want to shoot and honestly, quite mind-blowing when you see it for the first time. I have heard about issues with the autofocus in mirrorless cameras and most photographers I know are interested in hearing about the autofocus in the GFX. I can say with certainty that you have nothing to worry about the autofocus in the GFX. I’ve had absolutely no problem with it and I can compare it with the autofocus in my Canon 5DMKIII. I have shot in many conditions, both in high contrast or in overcast days, also by night, and I cannot say that in any of these conditions the camera had difficulties in focusing. Since the autofocus system is a contrast-based system it is possible that in cases where the contrast is very low, the focus may hunt before getting it right. However, I haven’t experienced this issue so far so I cannot confirm it. I’ve heard of situations when other photographers may have had issues with low contrast scenes, but in my experience, the camera did great in all the cases. From what I’ve read there were some issues with the autofocus in the beginning when the GFX had been just released but many of these issues have been addressed through firmware updates and I suppose this is going to get better as new firmware updates come up. Actually, the AF system the GFX has is said to be the best AF system in a medium format camera. I haven’t worked with all the medium format cameras out there, but those who have, claim it and I have no reason to contradict them. I haven’t used the camera’s face detection feature since it is not common for the style of photography I’m shooting so I cannot report on this, but from what I’ve heard from others, the phase detection works very well too and is a very good tool when taking portraits of moving subjects. Also, I haven’t used too much the continuous focus but in a few cases I did I had no issues. But again this camera is not meant for very fast shooting so do not expect it to tick all the boxes in this department. This camera mostly aims at quality and detail, and not necessarily at speed. I’m used to the technique of focusing and re-composing, rather than using the joystick to move between focusing points, but with the Fujifilm GFX 50S, with 425 focus points (you can use the 117 focus points grid for easiness), it is really worth using the joystick and focusing exactly on the point you need because the focus points truly cover the entire image and you may get better results like this instead of focusing and recomposing. I’d say that focusing and recomposing is useful when you want to shoot quickly, while in the cases you have the time it is worth using the joystick and choosing exactly the focus point you need. Also, you can use the LCD monitor to choose the focus point and this can be sometimes quicker than using the joystick since you can tap on the screen exactly where you want to focus and the camera can get the focus right very quickly like this. One thing you might want to do when you use this technique is to make your focus point smaller on the screen so you are sure that you are targeting the right spot. The bright selection square that represents the focus point is, in my opinion, a little too large by default and it can be confusing if you want to focus on a small object that may be at the same size with the focus selection square. The good news is that you can change the size of the focus point by using the rear command dial in combination with the dedicated button for this function. Manual focus is important especially if you work with third-party lenses, like for instance with your Canon or Nikon gear and attaching the lenses to the camera by means of an adapter. In those cases, regardless if you use an electronic on a manual adapter, you won’t have autofocus so manual focus is going to be your only choice. In addition to this, you cannot have focus confirmation as you would have with a manual lens that communicates electronically with the camera, so you will have to rely on your eyes and on a few tools that the GFX offers to make your work easier. One of them is focus peaking which is a technique common to other mirrorless cameras and that is truly helpful, and the other is the ability to see in your viewfinder or on the LCD screen the image zoomed in 100% so you can check the details. You can either zoom in and see the image enlarged on the entire screen or have the entire image on the left side of the screen zoomed out, and a sample zoomed in 100% on the right side where you can surf throughout the image and check the focus in the areas you need it. Both features are very useful and I would say indispensable if you work with third-party lenses and you cannot access the autofocus or focus confirmation. The Fujifilm FX 50S uses flashes made for the X- series cameras, one of the best being the Fujifilm EF-X500 TTL Flash. It is a wireless TTL flash, dust and water resistant, that can be used in a single or multiple setup to offer the most control over the results of the lighting. The flash speed sync is 1/125 of a second which may be too slow for some cases if you use the flash outside but it is most of the times enough if you shoot in the studio, and when you shoot outside there is also the possibility of using neutral density filters to be able to keep the shutter speed in this range. I am not using the flash extensively in my work, so I won’t be able to get into a lot of detail about the practical use and workarounds, but there are many places where you can get this information from if you use to shoot with a flash and you do not have high-speed sync. Besides, not all cameras have high-speed sync for the flash and you can still do great things with them. Customization is definitely one of the best things about the GFX. I love to customize my cameras, just like the software I’m using, so this is really great news for me and all those who want to get the most of their cameras in the shortest time and with the least amount of effort. There are 16 functions on the touchscreen that can be customized and are accessible via the quick command button on the back of the camera. Also, there are 10 more buttons in different spots on the camera that can be customized according to your wishes. In addition to this, the top LCD screen can be customized to show the information you need and you can set around 10 kinds of information data to be displayed on this screen. From my experience and what I know about other cameras, the GFX is the most customizable camera on the market at this moment and this is very good news if you want to be in control. The Fujifilm GFX 50S has a resolution of 8256 x 6192 px with a 4:3 aspect ratio, which is more than enough to give you a huge amount of detail and quite some leeway to crop in if you need to. While I’m always trying to get the best composition I can in camera, there may be cases when you cannot get the composition you want and you need to change that in processing, or you may want a different aspect ratio than the camera’s native one. The GFX comes with quite a few aspect ratios that you can set in camera so you have a feedback for composing, but I always try to shoot in the native ratio and decide the final aspect ratio later in processing so I have more freedom of interpreting the image. But others might find it easier to use the final aspect ratio in camera and this is possible very easily with the GFX. The GFX can shoot 14-bit RAW (uncompressed or lossless compressed); JPEG, RAW+JPEG; 24-bit TIFF (with in-camera RAW conversion). Probably a no-brainer for most of us, but just as a reminder for the ones less seasoned in the technical side of photography: for best quality, use uncompressed 14-bit RAW combined with Superfine JPEG which will give you the best quality in both formats. The file size you get from the GFX is definitely bigger than what you are used to when shooting with a regular DSLR and even with a high-resolution DSLR, but it is not impossible to manage. A regular RAW file will be around 111MB straight out of the camera and a JPEG from 20 MB to around 35 MB. If you have storage issues on your hard drives, file size in a medium format camera may be something to consider. For instance, at this moment I am just before an upgrade to my system and one of my issues is that I have almost filled up my internal hard drives and I need to replace them with larger. My external hard drives are large enough but as you probably know it’s better to have the file to work with on your internal hard drives for speed considerations. So before I make the upgrade to my system I have to be careful how much I overload my hard drives. Which translates into me shooting with the medium format these days in a manner that is very close what I was doing when I was shooting with film in the old days, and when a roll of film had only 24 or 36 frames so I had to be careful and shoot only keepers so I don’t use up all my film before I can replace it. During the last months when I was shooting medium format I felt like traveling back to the past as far as my care for the frames I’m shooting. I’m shooting much less and much more carefully and I keep only the good images. And I can tell you it was worth it because I ended up with many more keepers than I would have expected. Of course if storage is not a problem, as it will soon not be for me anymore and usually this is not a serious issue in this day and age, you may not need to be so careful, but even if you have plenty of storage space, being more careful with what and how you’re shooting is going to pay off in many ways, not only as far as the rhythm your hard drive is going to fill up, but mostly as far as the quality of your images. The file size is also an issue if your hardware is not capable or fast enough so it can deal with large files when processing. This happens especially when you work with many layers or have a complex processing workflow like I do. There are workarounds, like for instance starting your processing by applying a preset, like my FREE DxO Fine Art Preset Series Dark City that you can get right away for free, but it can become frustrating after a while, so in principle, if your computer is an older one, the best would be to think about an upgrade or adding some RAM memory if you start working with medium format. That will give you the freedom in processing so you don’t need to restrict yourself just because your file becomes too big for your computer to handle. I hear this objection from many photographers who talk about the difficulty of working with such large files and it is understandable, but on the other hand, there is only one way to go as far as technology, and that is forward. Even if we manage to avoid upgrading our systems for a while, we will still need to do it at some moment and the point is: do you want to be among the first who will take advantage of such an exquisite system as medium format is, even if you need to adapt to it from different points of view, the computer being one of them, or do you want to keep working with older camera technology just to not need to upgrade your computer? I think the answer is obvious. 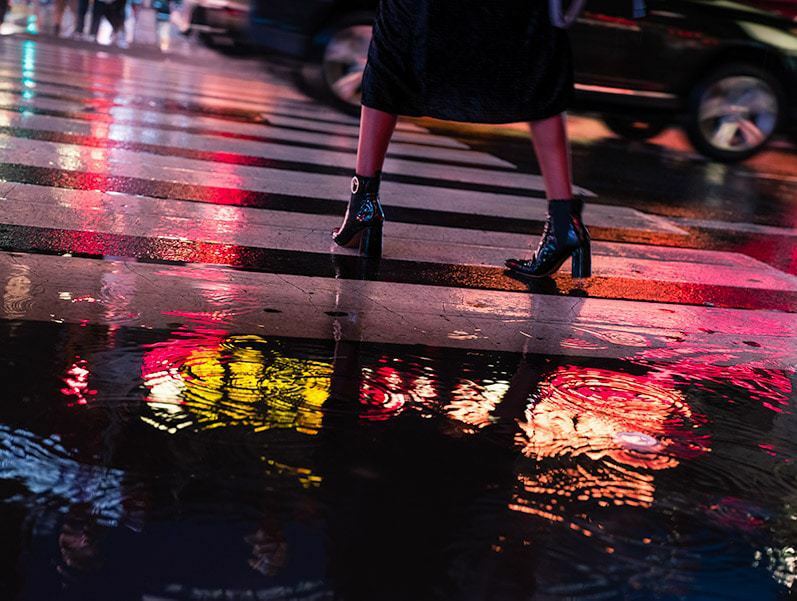 Image quality is where the Fujifilm GFX 50 S is the most rewarding and where you’re going to be the most impressed with its performance. For those already shooting with a medium format camera it may be no surprise, but if you come from a DSLR or another mirrorless system, the difference will hit you. The image quality in the Fuji cameras is well known. Fuji cameras with even smaller sensor than the full frame can deliver image quality up to par with a full frame camera, and this quality has been taken to an even higher level in the GFX. The detail is just amazing. You can zoom in into the image and never stop, and the detail is still perfectly sharp and so accurate. You can get almost perfectly printable images if you zoom in 200% because the detail is still accurate even at this magnification. Some other cameras already show blurred edges at 100% zoom, but I find myself checking for sharpness with the GFX at 200% zoom and even more to really understand where I start to lose the detail. The same thing happens with color. The color is so deep, smooth and rich that your first reaction is that you don’t even need to process the images you shoot because they are already perfect. Together with the three-dimensionality of the depth of field, the depth in color is what they referred to when they talk about the so-called “medium format look”, or I should say medium format magic. You can see below 3 examples of images shot with the Fujifilm GFX 50S, together with a couple of 100% crops for each image (click on the image to enlarge the crop to 100%) and the original full-size TIFF files made from the RAW images, that you can download to check the detail and other characteristics. Dynamic range is one of the most important features in a camera for an architecture or landscape photographer, and most of my imaginary is around architecture and landscape, so this was one of the first things I was interested in when deciding to work with this camera. And I wasn’t disappointed. The camera covers 14 stops of dynamic range and, while I couldn’t explain you in plain English what this means, I can tell you that the amount of highlight and shadow information you can get from an image is much superior to any DSLR I have worked with or read about. This was to be expected, since the sensor size is so much bigger than any DSLR, so the pixel size in a medium format sensor is much larger and can store much more light information, which is why the medium format cameras have a better dynamic range. But even if it makes sense from a technical point of view, it still amazes you when you see it in real life, in the images you shoot. It’s such an amazement and joy when you see underexposed areas that can be brought back and they look as if they were shot at the best exposure. Same thing happens with the highlights and this makes so much easier to shoot contrasty light situations without needing to bracket exposures or risk to deal with grain if you push the shadows in post-processing or not have enough detail in the highlights if you try to recover overexposed areas, which is what is frequently happening when you work with a regular DSLR. Except for the possibility to recover deep shadows or bright highlights, an extended dynamic range makes the processing of the images easier and it can help you create a softer transition in tones which is one of the main qualities of a compelling image, especially when you working black and white. 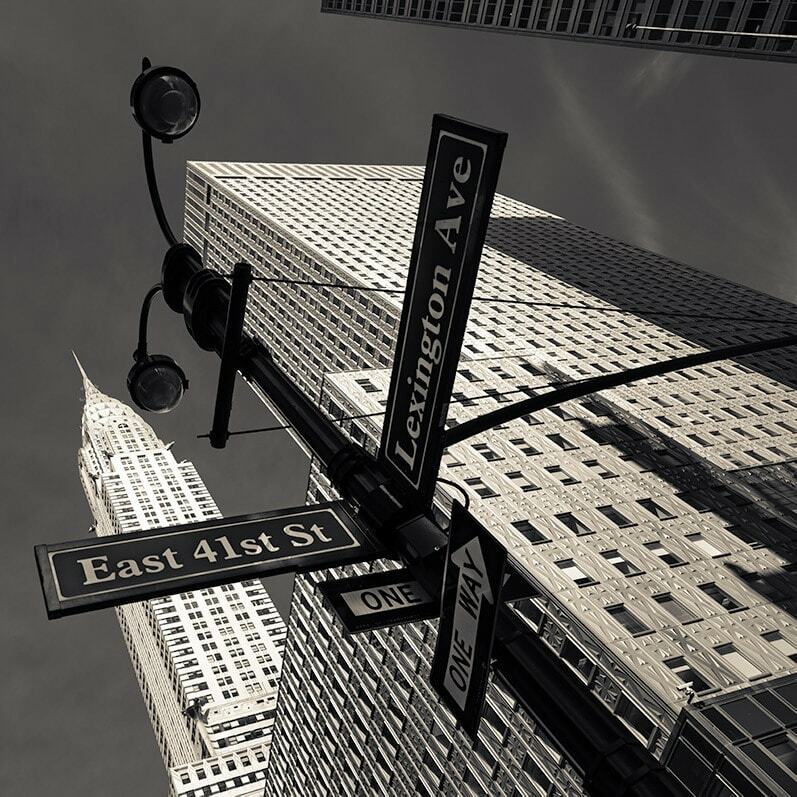 For a more in-depth analysis of how to create compelling black and white images, you can read my free tutorial Complete guide to black and white fine art photography where I elaborate on this. 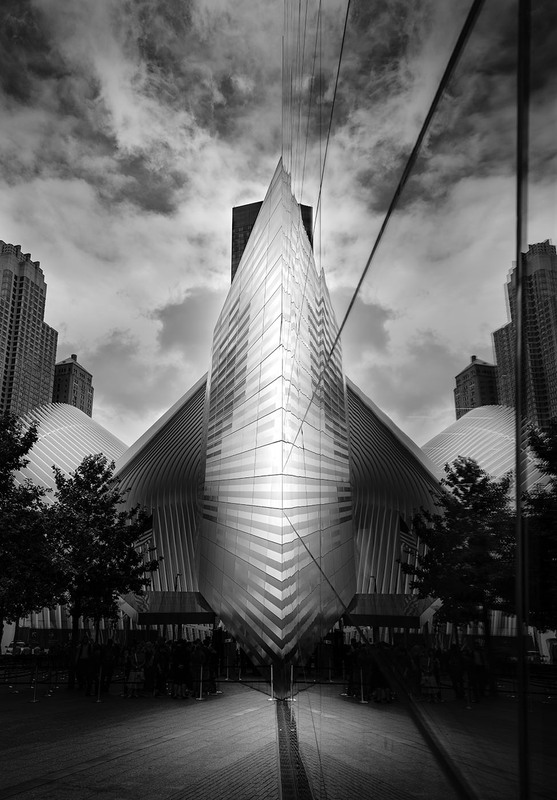 If you want to dive deeper into black and white processing, I can recommend another free tutorial in my extensive tutorial collection, on how to apply my processing method Photography Drawing that you can find here Black and White Fine Art Processing with Photography Drawing™ in 15 Steps. One tip I could offer as for maximizing the dynamic range of the camera is to keep the camera at the base native ISO to get the best dynamic range, or generally keep it at the lowest ISO possible. From my experience so far, it is preferable to shoot underexposed and push the shadows in post-processing than to increase the ISO to get a brighter image in the camera. I’ve done both and I was more satisfied with the first, since the noise is kept low or and the quality of the retrieved shadows is better when you push the exposure in post-processing than when you push the ISO when you capture the image. Below you have an image exemplifying the extended dynamic range covered by the camera, by taking it to an extreme of underexposing by 5 stops then bringing back the shadows. It is an image of the lobby of the Chrysler Building in New York. The image was underexposed 5 stops, then pushed 5 stops in processing to be brought to the correct exposure. Recovering the shadows with 5 stops, from practically a close to pitch black image to a correctly exposed image would mean with most DSLRs a serious drop in the quality of the image, loss of natural color and extreme noise. You can see, in the case of the GFX, the quality of the recovered image is pretty good and the noise is very reasonable for the amount of shadow recovery I applied. To be honest, I am impressed. Below you can download the full-size JPEG processed image to check out the quality and noise of the image. The native ISO is ranging from 100 to 12.800, and can be extended from ISO50 to ISO102.400. As you would expect from a medium format camera, the Fujifilm GFX 50S behaves wonderfully even at higher ISO settings. The noise is barely noticeable till ISO 3200 and you can start seeing some noise from ISO 6400. Shooting even higher ISO gives you usable images but that’s not going to happen most of the times since the best is to keep the ISO as low as possible. I haven’t done extended testing on every ISO speed but you can find quite a few reviews with more detailed information about this. However, my general feeling was that the camera is behaving very well even at higher ISO. Which as I said, was to be expected from the larger size of the medium format pixels which increase the information they can accumulate, thus decrease the noise. Medium format can be really merciless when it comes to motion blur, so you have to literally zoom in and check all your images at 100% zoom to see if they are sharp and motion free. Especially if you come from a DSLR and especially if you haven’t worked with the high-resolution medium format cameras have. This issue is even more serious since most of the lenses you can use with the GFX do not have image stabilization. 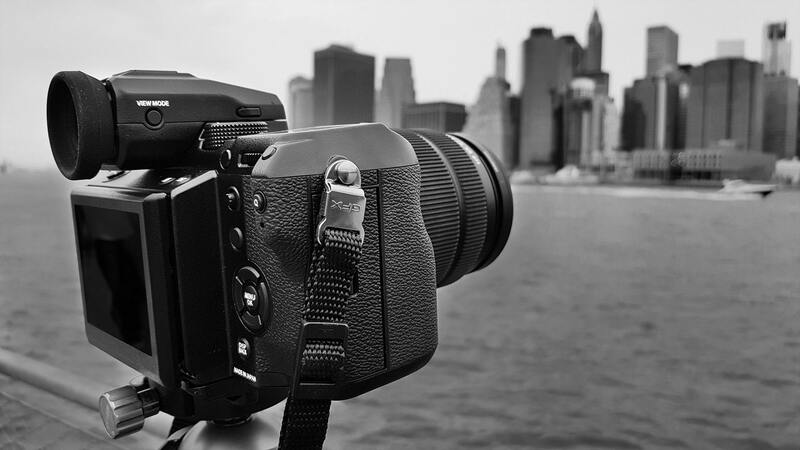 This can be an issue with a high-resolution DSLRs also like the Nikon D850 or Canon 5DS, so if you already shoot with any of those cameras you may know what I’m talking about, but for a regular DSLR shooter, this may come as a surprise if they don’t know what to expect. I knew what to expect and it still was a surprise for me, especially that, as I said, most of the medium format lenses do not have image stabilization, so you need to make up for that by increasing your shutter speed. I won’t go into detail to explain why medium format lenses do not have image stabilization, so I don’t make this review too long, but I can tell you that, from a practical point of view, you have to take this into consideration when you shoot. If normally I would get away with even 1/30 shutter speed on my Canon 5DMKIII and still get sharp images, when I work with the Fujifilm GFX 50S I will need to be at least at 1/60 if not even more to get the same sharpness. This is because most of my Canon lenses have image stabilization while the Fujifilm lenses do not have it. In addition, the Fujifilm GFX 50S has more than double the resolution of the Canon 5DMKIII so the details will be blown up twice the size, which means the motion can be seen much easier. So you have much greater detail with the medium format, but you pay the price by not being able to shoot easily with low shutter speed and get sharp images. I cannot tell you how many shots which I thought I got sharp, I had to delete in the beginning when shooting with the medium format, till I started to understand intuitively how fast I can shoot with it to get sharp images. To this day I check all my images by zooming it at 100% to be sure that everything is sharp. This is not necessarily a disadvantage considering what a medium format camera can give you to make up for it, and it stands with all the medium format cameras, but it is one of the things that you have to be very careful when shooting with any medium format camera and one of the things that makes it different from shooting with DSLR. But once you get used to it, it is not a hindrance, unless you’re shooting fast photography, like sports photography or similar. This doesn’t mean you cannot shoot sports photography with a medium format camera. It just means that you are going to get different results than what is considered standard sports photography, and you may not be able to get tack sharp images at lower shutter speeds as you would be able to with a dedicated DSLR with image stabilization. On the other hand, this can boost your creativity and help you create a different look in your photography. Who says all sports photographs have to be tack sharp and motion free? Who says any photograph has to be tack sharp and motion free? Maybe only those who think in restrictive rules say that. Happily, I’m not one of them. The GFX shoots 1080p video with a frame rate of 30fps, and while this is not the 4K video other modern cameras can shoot, we have to take into consideration that this camera is not necessarily made for video but for photography and this is where it excels. This being said, 1080p video is not bad for a normal video shooter and if you take into consideration the image quality the medium format can offer, the video will be quite professional. I am not shooting video too much and even less with the GFX, so I cannot give much information in this field but again from information picked up from others, the GFX behaves very honorably when shooting video. I have published a more detailed review, treating shooting long exposure photography with medium format and the Fujifilm GFX 50S, as a sequel to this review, with information that can be applied to any camera system. You can read the extensive GFX long exposure review here. Also, for even more information and tricks & tips about long exposure photography, you can read my Long Exposure Photography Extensive Tutorial that I have published some time after this review, where you can find all the details about this technique in a complete guide. Back to our review, first, let me mention a few long exposure facts for those who are not familiar with this technique. In simple words, shooting long exposure means using longer shutter speeds to capture an image. This means that the sensor will be exposed to light for a longer period of time. You can shoot long exposure for 2 reasons, if you don’t have enough light available to capture the scene with a short exposure, or in case you want to use a long exposure for creative purposes. In both cases, you will need to lengthen the shutter speed so more light enters the camera and creates the right exposure. When you don’t have enough light available, you will use the camera as is and will wait for the sensor to gather enough light for the right exposure. Most of the times this technique is used in night photography or when shooting interiors in low light. In the second case you will need to use neutral density filters to reduce the amount of light entering the camera, so again you need a longer time to create the image on the sensor. This type of long exposure is usually used by day (even if it can also be used by night) and the result is creating artistic effects, like creating long streaks of clouds or smoothing the water. If you want to learn to work with long exposure to create fine art photography, you can find all the secrets in my video tutorial Long Exposure, Architecture, Fine Art Photography – Creating (en)Visionography where I’m breaking down this technique and explain step-by-step what you need to do to create compelling long exposure images, and I also describe in an e-book accompanying the course the processing workflow you can use for creating fine art long exposure images from start to finish. I am recommending you to use a 10-stop, a 13-stop and a 16-stop neutral density filter for best results and for covering most exposure times needed. 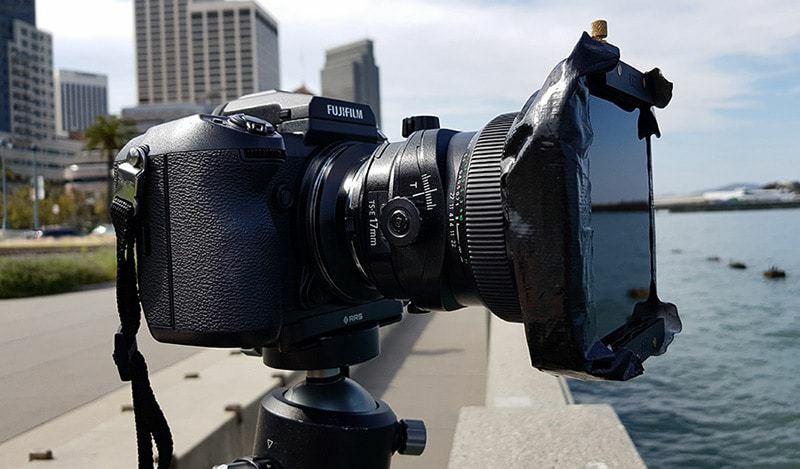 Alternatively, you can use a 3-stop, a 6-stop and a 10-stop neutral density filter and combine them by stacking them to create higher densities. You can choose between circular or square filters and in the case you use square filters, I would recommend you to use the new anti-light leak holder from Formatt-Hitech that will remove the danger of getting light leaks when you shoot a long exposure. You can use my discount code for this holder also. And if you get it, I hope you will appreciate my image Mirroring Fantasy which is decorating the box. Since the camera is mirrorless, you don’t need to worry about vibrations introduced by the mirror that you would have to worry about in a DSLR, and for this reason, you would need to activate the mirror lockup function. In a mirrorless camera, there is no mirror that needs to move out of the place when you take a photo, so there are no vibrations. Which means that if you are careful you can actuate the shutter by simply pressing the button, especially when you’re shooting a longer exposure of a few minutes when a slight vibration in the beginning of the capture will not harm the final sharpness. The only catch is that if you don’t use the bulb mode you are limited in choosing the exposure time and you will be able to choose exposure times that are in certain increments. For instance, the available exposures will be: increments of 10 seconds from 30 seconds to one minute, and then you practically have accessible exposures that are the double of the previous exposure time, for instance: 1 minute, 2 minutes, 4 minutes, 8 minutes, 16 minutes etc. up to 60 minutes. This can be sometimes limiting if you need to set the exposure in between these set values, but since 4 minutes is an exposure that covers a wide range of situations, you may stick to it and only use the bulb mode when you need to change it. 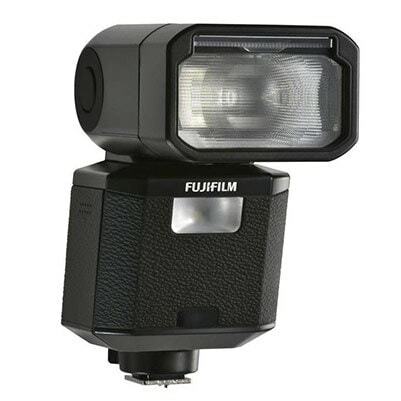 Sometimes 2-minute and 8-minute exposure are also useful, but for everything in between, you will need to switch to bulb and attach a remote control, like for instance the Fujifilm RR-90 Remote Release. I still haven’t found a workaround to choosing preset exposures when you use the T mode (if anyone has a workaround for this please mention it in the comments and you’ll make me happy), but it would be a really great feature if the exposures could be chosen freely in T mode, as it happens with the Phase One, which would make the use of the bulb mode and the use of the remote control redundant and would make shooting long exposure much easier. So, hopefully, Fujifilm will address this in a future firmware update. Noise in long exposure is an issue that is well known and feared in the long exposure circles and an issue I was afraid of also. Traditionally it tends to become worse in medium format cameras, so when I bought this camera my main concern was to see how my long exposure images would look like from the noise point of view. Much of my work is done in long exposure so it was a very important aspect for me, especially that I hadn’t seen any review that was addressing shooting long exposure with the Fujifilm GFX 50S camera. So in this respect, this review is the first who treats these aspects in a more analytic way and I hope it will be useful for everyone shooting long exposure. Despite my initial fears, I was very happy to discover that the noise in the long exposure images I’ve shot was not only reasonable, but even less than what I was getting with my Canon 5DMKIII and much less than what I was getting with my Nikon D7000. So this is great news for long exposure photographers. If you shoot exposures of reasonable length, around 4-5 minutes, and you don’t shoot in very hot temperatures, above 25-30 Celsius degrees (75-85 Fahrenheit), when the sensor heats up anyway to much, which creates noise, then you can rest assured that you will not have serious problems with noise with the Fujifilm GFX 50S. With a few exceptions, I haven’t shot very long exposures with this camera because I’m always trying to shoot the shortest long exposure I can to achieve a certain effect and not shoot longer long exposures than needed, so I can get the best quality of image possible. The image above is a 270 seconds (4 1/2 minutes) exposure, straight out of the camera, with no denoising applied or any other processing done, other than converting to JPEG. This is the range of exposure length I use for most of my long exposure images, and the noise due the exposure is minimal, as you can see in the full res file. I will be back with more examples of longer exposures next week in my more extensive long exposure review and you will see there how each exposure length behaved as far as noise and image quality. A feature that can be used when shooting long exposure or whenever you need to actuate the camera from a distance is that the camera can connect via Wi-Fi and you can also use the Fujifilm Camera Remote application to control some basic commands and shoot remotely. Since this review is becoming quite long and I still have many things to say about shooting long exposure, I’m going to come back next week with a more extensive review addressing shooting long exposure with the Fujifilm GFX 50S. If you want to not miss the review and receive it the moment it is published, you can subscribe to my website and you will get the review automatically in your inbox next week. The Fujifilm GFX 50S is an amazing camera if you use it for the right purpose. Even if it is a medium format camera it is very close in ease of use to a DSLR, but it should be clear that a medium format camera is not a DSLR. It is not made for this purpose so if you need from your camera the speed of reaction a DSLR has, so to use it for sports, action or photojournalism, you have to keep in mind that these are not the photography styles a medium format is aimed to. But if you need from your camera the highest quality possible, the best color, the best rendition of tones and dynamic range and the most amount of detail you can get, if you want to shoot fine art, architecture, landscape, portrait, fashion or commercial photography, this camera will be an amazing tool helping you to make your vision reality. If we think about this price category, there is also the alternative of the Pentax 645Z that is a little less expensive than the GFX, but this is an older model that unfortunately hasn’t been updated from 2014, and it is not a mirrorless camera, but a DSLR medium format so it belongs to a different category considering the size and functionalities. So, in fact, these 2 cameras couldn’t be placed in the exact same category, but the Pentax would rather belong to the classical medium format cameras, like the classical Hasselblad or the Phase One. In the same category of mirrorless medium format cameras the alternative is the Hasselblad XD1-50C, the one I mentioned in the beginning and which will be the prize for the winner of the Hasselblad Masters Awards (fingers double crossed I will be the one – don’t forget to vote for me! ), but the Hasselblad and its lenses are more than 25% more expensive than the GFX, so the purchase of this camera becomes more difficult. The other most well-known alternatives would be the larger classic format medium format cameras, like the Hasselblad H6D-50C or Hasselblad H6D-100C, with 50 and respectively 100 megapixel sensors, or the Hasselblad H5D-200c Multi-Shot with a 50 megapixel sensor that can shoot up to 200 megapixel by combining multiple shots, or the Phase One XF 100MP system with 100 megapixel sensor, with either the IQ3 100MP Trichromatic back or the IQ3 100MP Achromatic back (this back is only capturing monochrome so it is more restrictive as use). The price tag for this cameras though, is way beyond what most photographers, even established professional photographers, can afford, so they belong to a special category in themselves. These are larger size cameras, mostly suited for studio work or for shooting in the field in a more organized way, and they are aimed (especially the 100MP systems) to photographers who need to make huge prints with an extreme amount of detail, like in the case of commercial photography when the print will be exhibited on a huge billboard or similar. The dynamic range of the 100 megapixel sensor is a little bit increased, mostly with one-stop, but in my opinion, what they offer more, while it is valuable and very useful if you need it, comes at such a high price that it is not truly competitive in the real world camera market and it will not truly make a difference for most photographers. Which really makes the Fujifilm GFX 50S the best choice for a medium format camera at this moment, if you consider everything: size, features, price and of course quality. This is why I decided for this camera, because whenever I make a gear decision, especially an important one like this, I always make a thorough research on what’s available on the market so I can make the best choice. In my opinion, the dynamic range is the biggest selling point of this camera and it can change the way you do photography completely. It opens so many doors for so many experiments and it allows you to cover so many situations that you couldn’t easily cover with the normal dynamic range. In this respect, I’d say, even if this camera is quite expensive comparing to a DSLR or a full frame mirrorless, it is definitely worth the investment if you go for large prints, high amount of detail, wonderful color depth and the ability to shoot a great range of situations without needing to think about bracketing or other tricks to cover for having extreme highlights and extreme shadows in the same image. It is not an easy to make investment and my heart skipped a beat when I pressed the “Pay Now” button, but when you overcome the sudden heart attack of the “Pay Now” moment, you don’t regret it for one more second and the creative joy begins. Like I heard said, and I agree completely, the Fujifilm GFX 50S is very likely to be the camera that will democratize medium format shooting and I think it was time for this to happen. Medium format quality shouldn’t be only accessible to a few elites, but what you get with the medium format camera is so precious that it should be available to as many photographers possible, and with the Fujifilm GFX 50S this starts to happen. I’m sure that other brands will follow in creating accessible mirrorless medium format cameras and this is good because competition in this field is always pushing the progress forward, and keeping the prices at a more reasonable level. But even now this camera is already the most affordable medium format camera on the market in a compact mirrorless shape that has the quality and the amount of features that allow you to do high-end professional photography in any photography style. I hope this review was useful both for those who want to invest in a medium format system so to take their photography to the next level, and for those who want to keep themselves informed about what is happening in photography and what are the most advanced and revolutionary systems out there. As I mentioned in the beginning, I will update this review every time there is somehing new, so I can keep you all informed about the new releases and my impressions, so be sure to subscribe and keep checking back periodically to get the latest news. I consider the Fujifilm GFX 50S a revolutionary camera and this is one of the reasons I am working with it, because I believe in innovation and revolutionary creations that take photography one step further, and in the case of fine art photography, which is my main photography medium, I believe in taking photography closer to art and for this we need powerful tools that can express our vision, so to transform photography into (en)Visionography. What is (en)Visionography? If you’re not familiar with this blog and with my concept of (en)Visionography you can find more details on the (en)Visionography page on my website, in my extensive collection of Black and White Fine Art Tutorials, in my video tutorial Long Exposure – Creating (en)Visionography and my book From Basics to Fine Art – Black and White Photography with co-author Joel Tjintjelaar. You can also join the (en)Visionography community on Facebook to share your black and white fine art images with 15 000 people. I have published a sequel to this review, treating in detail shooting long exposure photography with medium format and the Fujifilm GFX 50S, with information that can be applied to any camera system. You can read the extensive GFX long exposure review here. Related to long exposure photography, as I was mentioning in the Long Exposure section of this review, for even more information and tricks & tips about long exposure photography, you can read my Long Exposure Photography Extensive Tutorial that I have published some time after this review, where you can find all the details about this technique in a complete guide. If there is something else you want to know about the Fujifilm GFX 50S that I haven’t elaborated upon in this review, please feel free to add your questions in the comments and I’ll get back to you and update the review addressing the questions you have. I will get back with whatever interesting findings about the GFX in the future. If you want to receive the news you can subscribe and get them in your inbox. If you found what you need here, feel free to re-share this article with your friends and fellow photographers, so the knowledge reaches everyone. Merci à vous Eric. Très contente que vous trouvez la revue utile. medium format cameras. The GFX-50 is what i have been waiting for ! It is also more affordable . P.S. I love your work ! Do you have any insight on tethered shooting with the GFX and lightroom? Thank you Julia for the top report on GFX 50s! My pleasure Heinz. Glad you found the review useful. I’ve never read such a complete review before. Well done and thank you. Thanks Ohm. I like to do things well :) I searched a lot for info about this camera before I bought it and there wasn’t too much available, so I wanted to fill that gap and help others not struggle like me. Glad to hear it was useful. Super article Julia Anna! It gave me a great deal to think about in my selection process. Thanks Bob. Very glad to hear it gave you more to think Hope it will make the selection easier. 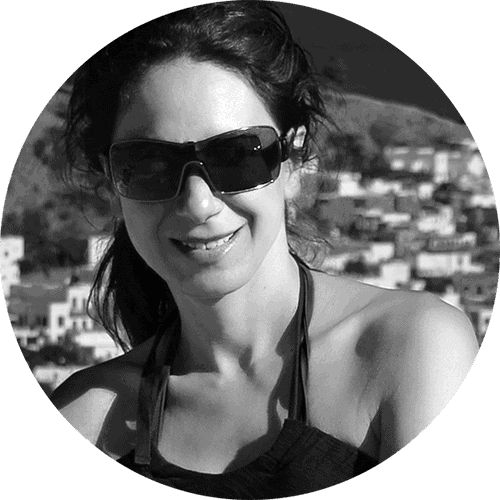 Thanks Julia, for taking the time and effort to translate your thoughts and experiences for all to read. I have one question regarding your comment on “EVF lag” and “missed shots”. I believe that you are commenting on the delay for the EVF to start working after you power on the camera? Or is it possible that you notice a lag / delay on the EVF and live action? I had never really considered medium format because of the expense of digital MF, dwindling options for film (RIP Fuji peel apart) and workflow limitations. Now that the GFX is priced not much more than a premium FF camera and small / light enough to take to the street, I’m considering it since I have come to a point where I need to make larger prints and eyeballing the GFX, L SL, and new S A7Riii. Would you think that a street photographer would be satisfied with the EVF speed for capturing critical timing? Would buy because of the high res and printability, but being able to use it for multi-purpose non-traditional duties will make me feel better about the expense. Hi Tom. Thanks to you. What I meant was indeed the slight lag of the viewfinder when you power on the camera. It’s not a long log, just a split of a second but coming from a DSLR this is noticeable. Maybe I’m too picky by comparing a mirrorless camera with a DSLR but I wanted to share all my experiences since I’m sure it will help others. I have shot Street photography with this camera and I didn’t have real issues but it can happen if you need to take a shot very quickly to need to take into consideration a short lag. One workaround is to keep your camera always on but on standby so you don’t need to switch the on off button but just press the shutter button slightly to activate it. I’m not sure how the Sony behaves in this respect but I think this is a general issue with mirrorless cameras and hopefully it will get better with some firmware update. But the quality of the image is outstanding and you will love it. I love my Canon 5D III, but am looking to move up to medium format. I had a one day test of the GX50 and found it very challenging and intimidating. Your thorough and informative review has given me incentive to pursue an extended test of the GX50. Thanks, Julia. Hi Michael. I’m coming from a Canon 5DMKIII so my experience is similar to yours. If you have a look at the manual before you start using the camera it will be much easier to control it from the beginning. It’s not as complicated as it seems at the first glance and, like I was saying in the review, I picked up the camera and started working with it almost without practicing and it went quite well. Hi Julia Anna, thanks for your thorough review. With the GFX, I intuitively was doing what you suggested: underexpose (to keep shutter speed up) rather than boosting ISO. And the results seemed OK. Until I received the other piece of advice, which I haven’t tested but sounds reasonable. I am willing to hear your thoughts about this. And look forward to Part Two of your review! Hi Joseph. Thanks to you and I’m glad the review was useful. Exposing to the right is definitely what you should do when you can do it because it’s going to give you much more information, since the right side of the histogram contains 8 to 10 times more information than the left side. 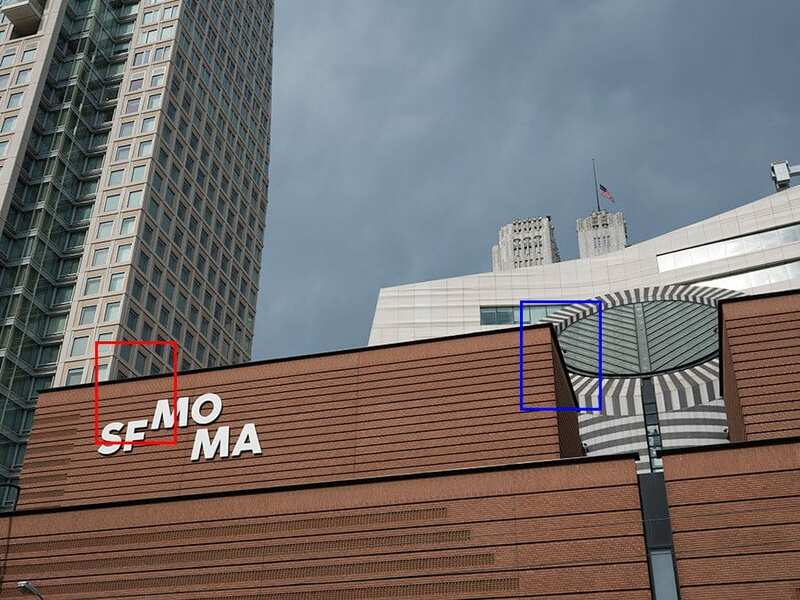 However, my experience is that increasing the ISO versus retrieving the shadows from an underexposed image with the GFX was more favorable towards retrieving the shadows. As I keep working with the camera I will see how this works in time and I’ll be able to have more information and update the review if necessary. 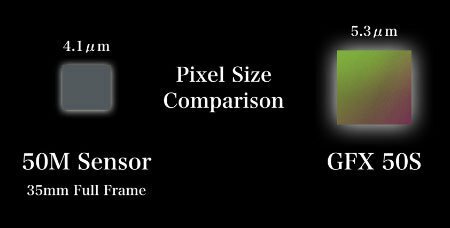 All this being said, the quality of the image in the GFX is so good that either way you would go you’d have more information and a higher quality of the end result than what you would have with a smaller sensor like the ones in the DSLR. Dynamic range was my main interest in this camera and I can say I’m happy with it. And the images are surprisingly clean even at higher ISO. I was wondering about your comparison of the jpegs to the raws images. Do you see much difference between the images? I have the X-T1& 2 but find the jpegs work most of the time – seldom do I have to process the raw files and the jpegs are more than adequate. What do you find with the GFX? Hi Carl. I haven’t worked with the XT1 or 2 but I think the same stands with the GFX. I can say that the JPEGs look great and especially if you think about it from before you take the shot and apply a film simulation that works for your image, the result may be very close to a finished image. For most of my images I am processing the files extensively but I can say that if you aim for less processing or you need to use the JPEG images straight out of the camera you can definitely do it with the GFX. This is one of the things that impressed me in this camera. When using ND filters in T-mode, the GFX has a working histogram beyond 30 seconds. That does not have many cameras. Of course you can count, but it makes work easier. 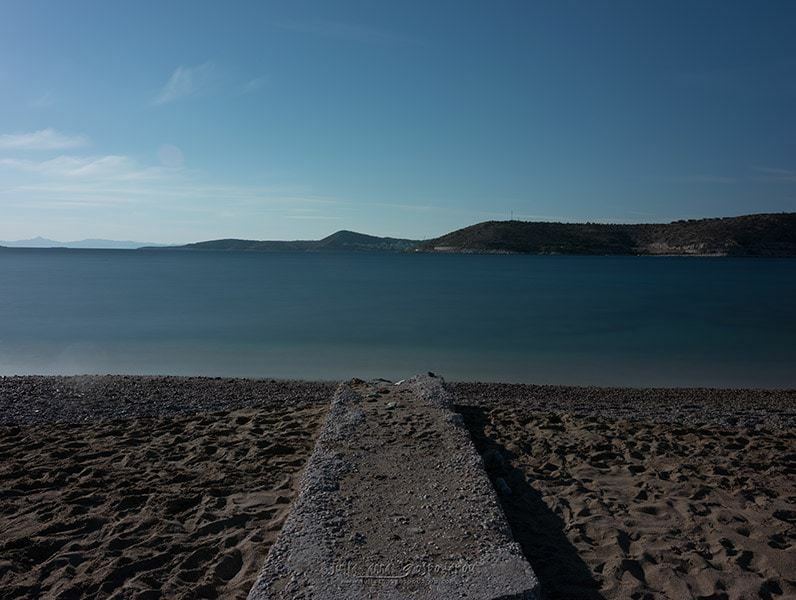 For this reason alone, it would be desirable to be able to set smaller steps in the shutter speeds – beyond 30 seconds. The RR-90 remote control unfortunately uses the USB port of the GFX. So the tethern and remote triggering is not possible at the same time. But the GFX has a 2.5mm jack which is compatible with Canon. So all smart and small remote (radio-) release for Canon can be used in the market. And thanks for the nice article. The possibility to shoot exposures of more than 30 sec in T mode is of great help when you want to shoot long exposure images and indeed you cannot do this with many cameras. I’m not sure if you can do this with any full or crop frame camera. I think only medium format cameras offer this feature. One workaround if you want to use the USB port for tethering is to use the Fuji remote app on the phone to actuate the camera. You can find a link to it in the review. I’m about to purchase a Fuji GFX and am wondering what software you use to process raw files? From my understanding, Capture 1 is a no go. That leaves Lightroom and ON1 to work with. Great thorough review Julia….. Just got delivery of mine and looking forward to using it …your article is very helpful and informative ! Thanks David. Good to hear you found the review useful. Enjoy your new camera. You’re going to love it. I’m am architectural photographer using Canon 5D mark III and I’m next to purchase the GFX (or the sony A7r iii but I’m more convinced on Fuji camera). I really thank you for you time to write a such detailed article and I mostly share all your consideration after testing the GFX. I shot the 90% with 17mm TSE and I would love to have a Fuji lens like this but it is still not available. I have two question: is the TSE 17 able to match a 50-megapixel camera and give the same quality result as the 23mm fujinon G? did you tested one vs the other? I tested the 23mm and it is incredible but the shop was not able to give me an adapter to test my TSE 17mm. Have you published some raw images of gfx+tse? Which adapter do you suggest to use a tilt shift lens? The cambo has the big issue that doesn’t transfer exif data and it costs 1200 euros, I found the Techart Canon EF Lens to Fujifilm GFX Autofocus Adapter (EF-GFX) that transfer exif and cost 500 euros. Any experience of this product? For what I see in an image in your article on GFX you use the TSE with fotodiox, not with cambo, isn’t it? Why? The other possibility is to use a kipon adapter tilt shift with the original 23mm fujinon, but, still, I did not find a lot of info on this adapter. I’ve shot with both the 17mm and the 24mm Canon TS with the GFX and the image quality is very good. I have no complaints about that. However I have shot only with the Fotodiox manual adapter so far, so I can only speak about the image quality of the lens wide open which is the default when you use a manual adapter. As soon as I decide upon which electronic adapter I’ll buy, I will update the review. The one you mention seems interesting, I may add it to the suggestions. I hadn’t found it when searching but if it can transmit EXIF and allow auto-focus, together with aperture control, then it would be perfect. I suppose there will be different other choices soon, as the camera becomes more widespread. For the moment you can’t find so much info on adapters. This is what I’m waiting for at the moment, to decide which is the best choice. As soon as I figure it out I’ll update the review. Thanks for the detailed review. This may be my next camera! Thanks Bob. You won’t be disappointed, that’s for sure. Thanks Bob. I’m happy the review was helpful and I hope you’re enjoying the camera. I had no issues so far with my 32-64mm. Did you get the new one back? I’d be curious to hear if the second one is fine. Very good review. Thanks for that. Ones question, why you decided to go to Fuji medium format instead of trying the Canon 5DSr. Both have the same 50M pixels and you are already invested in Canon lenses. Is the difference between the quality of both camera that difference that makes it worth it to get into a new system with the high cost of doing it? Thanks in advance for your reply. Hi Mauricio. Why I went with the Fuji was not only the resolution, that you can indeed get from the 5DSr too, but the fact that the sensor is quite larger in a medium format camera, thus the pixels are larger and retain more light, which delivers better quality and a higher dynamic range. Plus I thought that, since I can use my Canon glass with an adapter, at least in the beginning, until I get more native lenses for the Fuji, I would minimize the cost impact and get the best return on my investment, to say so. I wanted to switch to MF for a while and, after some research, this was the best solution quality vs price. Hope it helps. Thanks a lot. Thanks for the article and investigation. I would like to correct one point: Raw uncompressed and Raw compressed lossless do have the same quality. We may want to switch from one to the other when we prefer to work faster and less storage space vs. slower and more space. Fujifilm is also making the best zoom lenses for the super 35 cinema (HK premier in particular). I and many consider these optics as the best among all (including Zeiss and Leica, and Canon). I’ll definitely acquire a GFX ! Good to hear you enjoyed the review, Mathieu, and thank you for your input. I think lossless compression is worth considering especially when you shoot a lot. I haven’t used Fuji cinema lenses but they are definitely top-notch. I haven’t personally worked with the Kipon adapter, but one of my students recently purchased it and it seems to work fine. So it can be a less expensive alternative for the Cambo. However I think it only has manual focus and I’m not sure if it transmits the EXIF data from the lens to the file. But it can control the aperture which is a good thing. That is what I am thinking, it’s a very good thing to be able to control the aperture and I shoot with ts-e lenses so the lack of autofocus is not an issue for me. No data recorded on the file is perhaps a small price to pay for the aperture control, and big savings overall I would say. Hi Fred. The Techart Pro adapter that I am using now writes the EXIF data too on the file and you have auto-focus with auto-focus lenses. However I prefer to manually focus with all lenses with this adapter, as it is more accurate. Thanks for the review. But: not a word on using pentax 6×7 or hasselblad v lenses etc. Old medium format lens are avaliable on ebay and shops around and were(are?) splendid lenses, even because will work only at the centerof the (bigger) image circle. 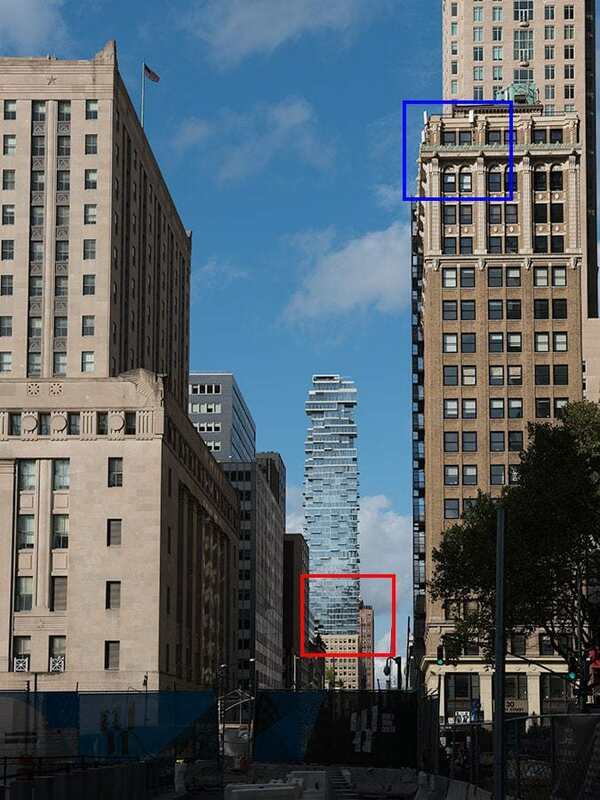 None of the will be close of the sensor as leica wideangle in a mirrorless. A bigger sensor ask less resolution of the lenses as requires less magnification. And I think a medium format camera is intended to be a slower tool so manual focus is not a problem. I have canon ts lenses and they have not stellar resolution, maybe because of the increased image circle. But, anyway, for my needs, it seems fine buyng a dedicated wideangle (23?) and old manual focus macro and teles. But I cant find tests of this combinations. I haven’t worked with Pentax or Hasselblad lenses on the GFX but with the right adapter they can be used on it and I’m sure you can get great quality from these lenses with the GFX sensor. As for the manual focus, I tend to use it on the GFX with all the non-native lenses as I found that it works best even with adapters that have auto focus. The tilt-shift lenses are anyway manual focus so there’s no difference from using them on a Canon or Nikon camera. I’ve been working with the 23 mm lens and it’s a great lens. It’s a little bit less wide than using the 17 mm Canon tilt-shift on the GFX but when you don’t need to tilt or shift it’s easier to use this lens and it gives you wonderful quality. A very interesting and thorough article Julia – thank you. Remember that Phase One and Hasselblad digital backs can be mirrorless too. Put them on a technical camera like an Alpa, Cambo or Arca-Swiss. Rodenstock and Schneider-Kreuznach lenses can give some enormous image circles. Glad you enjoyed the article Neil. This is a good point about thePhase One and Hasselblad digital backs. Those are more expensive solutions but if you need the size and detail that is the way to go. Thanks for the usage based great review (as oppose to gear review). I am new to Medium Format and I use GFX 50S. I use for mixed purpose (Portraits such as group, events, street, buildings and landscape). I have one question which is related to indoor photographs (portraits, etc..) although you have said it is not where you focus. What sort of continuous lighting is recommended for GFX 50S? If you could at least point me to a direction, that will be great. I couldn’t find much on the internet and I didn’t want to invest before checking. 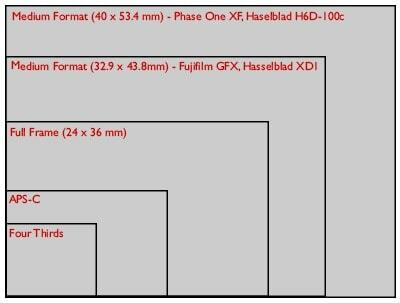 Maybe a better explanation of medium format than those of the manufacturers.